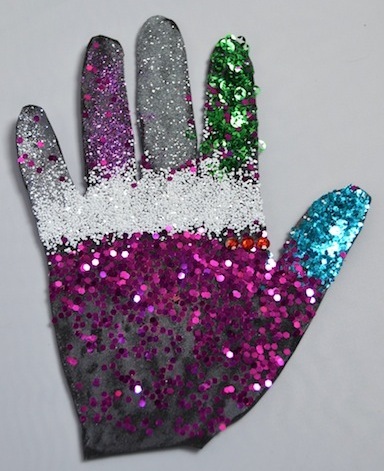 celebrate international friendship between disabled people and our allies. 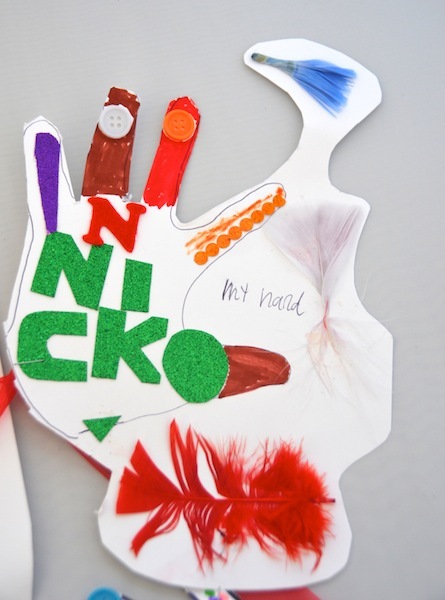 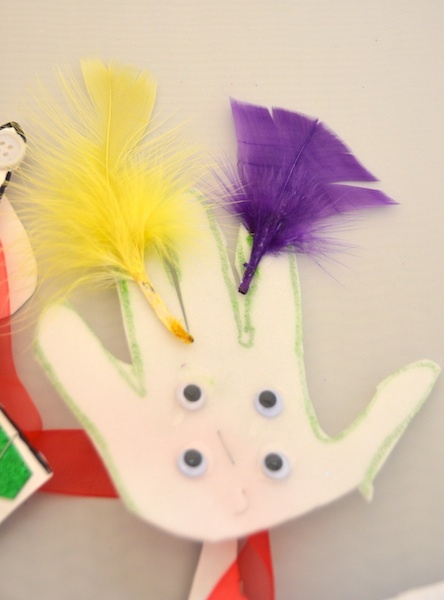 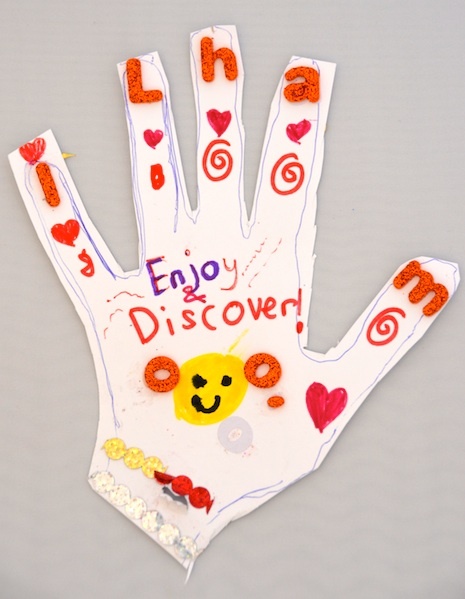 On 3 December 2014, International Day of Disabled People, we exhibited the hands that have been made to date – from China, Australia, Thailand and other countries as well as the UK – at the Old Town Hall in Stratford from 10am-4pm as part of the Together! 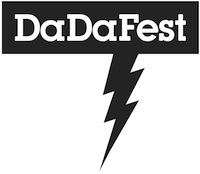 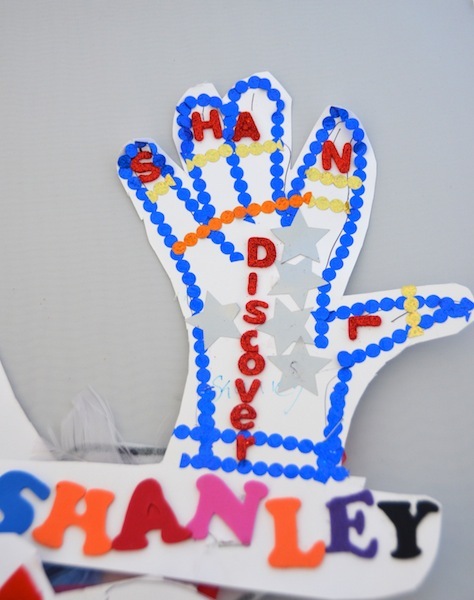 2014 Disability History Month Festival. We also e-conferenced with our international partners and held a mass making. 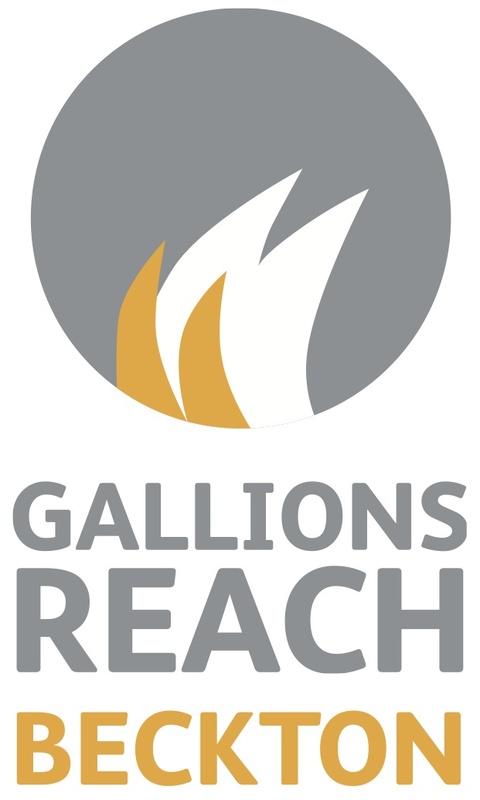 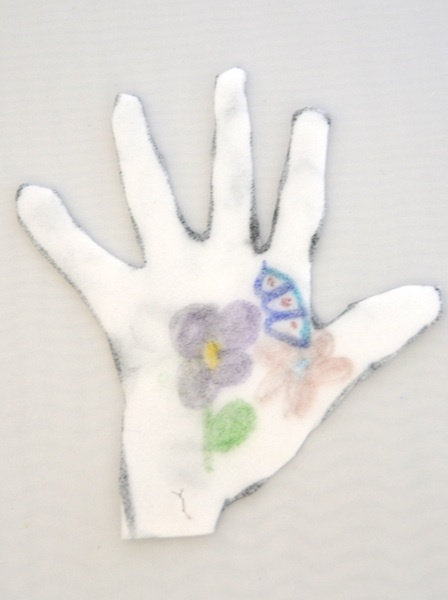 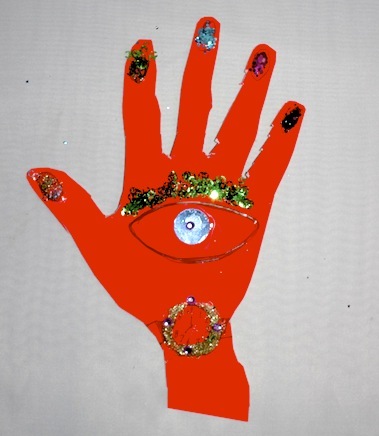 In 2015 the Hands Project will become an international touring installation, and we want YOU to be part of it. 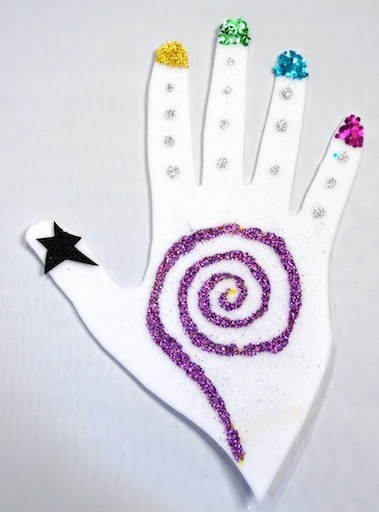 Follow the instructions below. 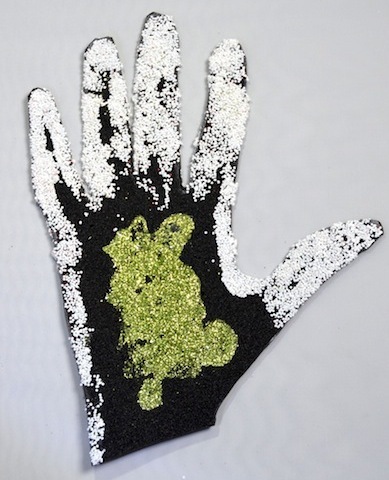 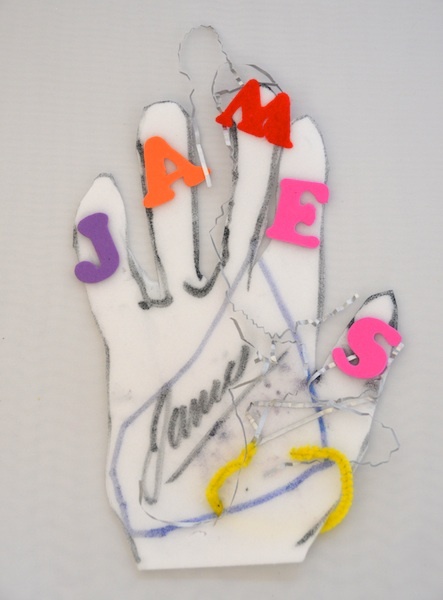 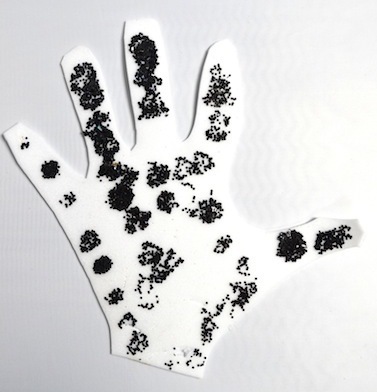 Originated by Ju Gosling aka ju90 and Diane Artis, the project references the blow-painted silhouettes of hands found in caves all over the world, some of the earliest forms of human representation in art. 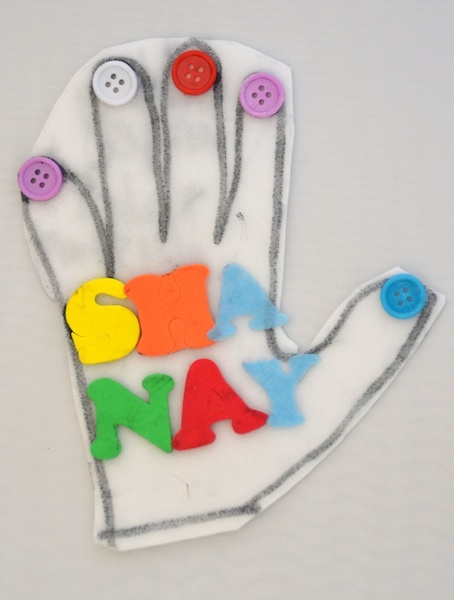 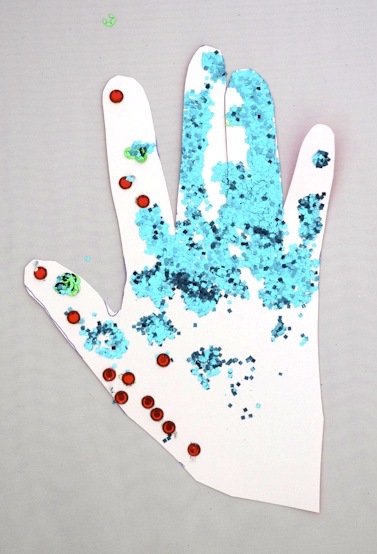 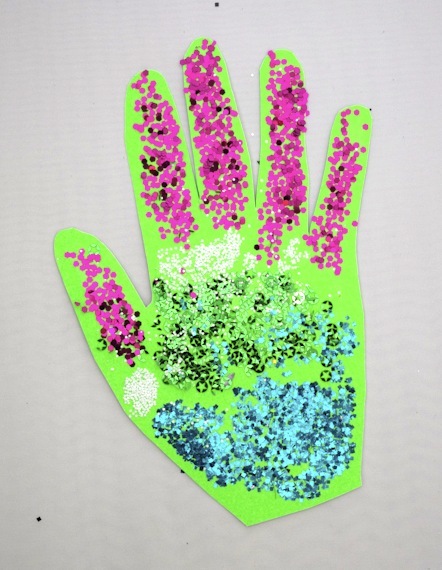 The Hands Project also raises awareness of Article 30 of the UN Convention on the Rights of Persons with Disabilities. 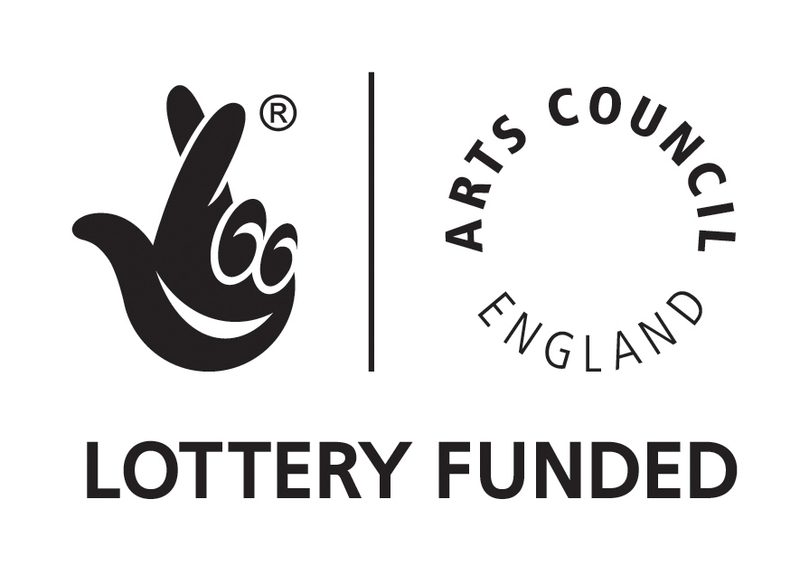 This gives disabled people equal rights to access the art, sport and leisure activities, whether we have physical or sensory impairments, mental health difficulties, learning difficulties or long-term health conditions. 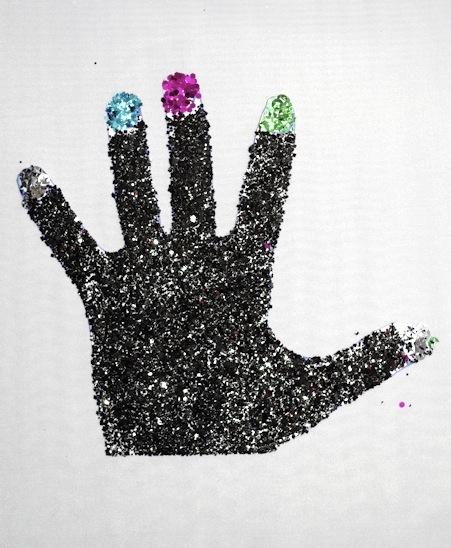 Statistics and personal experiences tell us we still have a long way to go before the right to express ourselves freely, to socialise together and with the rest of the community, to perform — and to get to the starting line, let alone to compete on a level playing field, in either life or sport — becomes a reality. 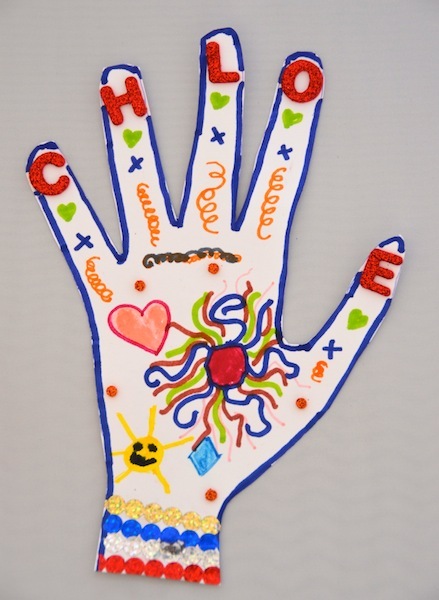 Together! 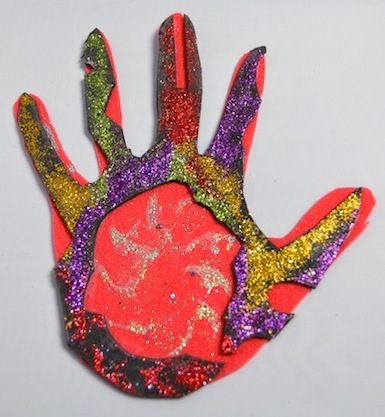 2012 CIC is a social enterprise that began as a volunteer-led project of the UK Disabled People’s Council (UKDPC), and is led by locally based disabled artists. We provide FREE participatory arts activities for disabled people and their companions, and FREE events, exhibitions and performances for everyone. 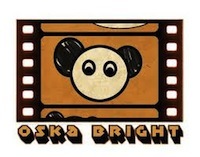 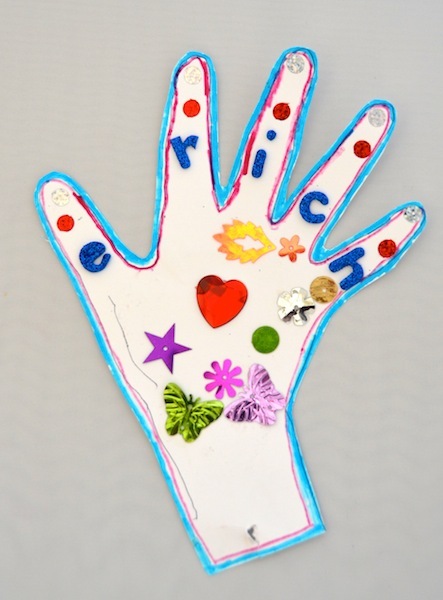 We work to empower people through the arts, encouraging the development of self-esteem and social networking as well as creative and professional skills. 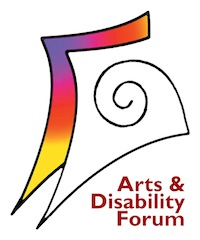 We also support local, national and international disabled artists to develop their careers, and facilitate the development of the local Disability Arts sector. 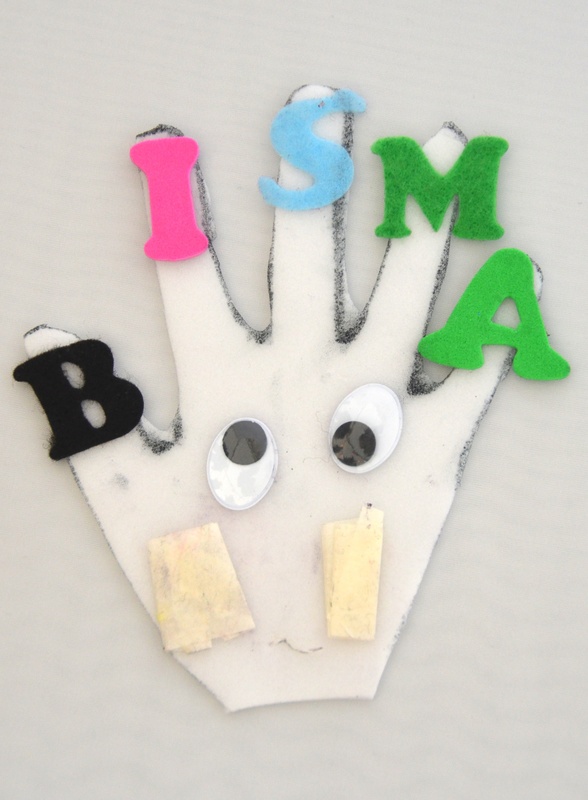 We aim to become an international centre of excellence for Disability Arts as part of the Paralympic Cultural Legacy. 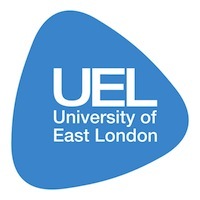 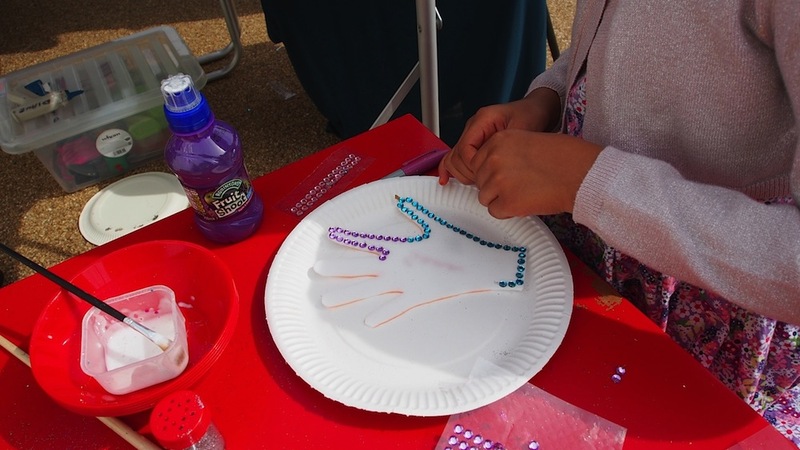 We work in the main London 2012 Host Borough of Newham, which is the second most deprived borough in the UK, and has the lowest level of arts engagement. 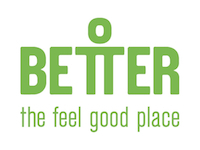 We have been awarded the ‘Inspired by London 2012’ mark by the Cabinet Office; and ‘Community of Health’ status by Newham CCG for “outstanding services in improving the health and wellbeing of local people”. 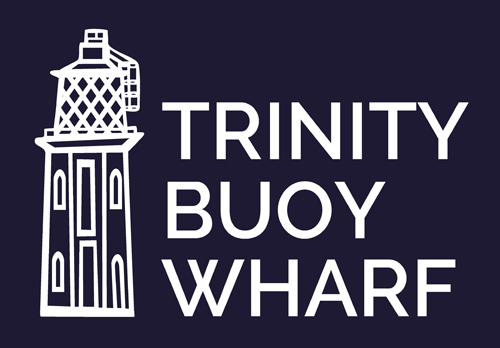 We have to raise every £ we spend ourselves; please follow the link below if you are able to donate to. 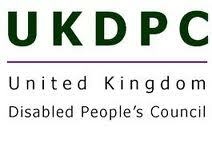 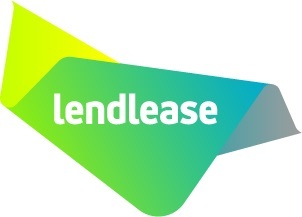 Or click here to see how you can offer more practical support. 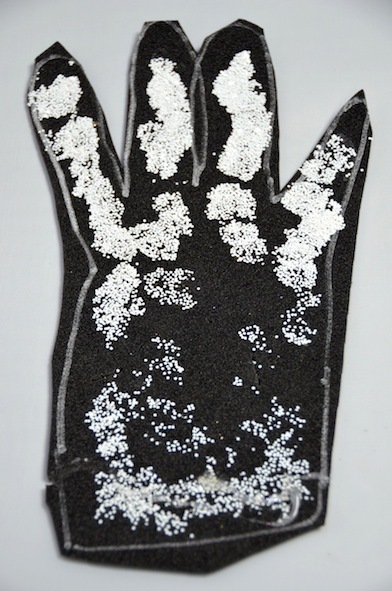 Light foam sheeting (‘Plastazote’) or light card (you can use an empty cereal packet). 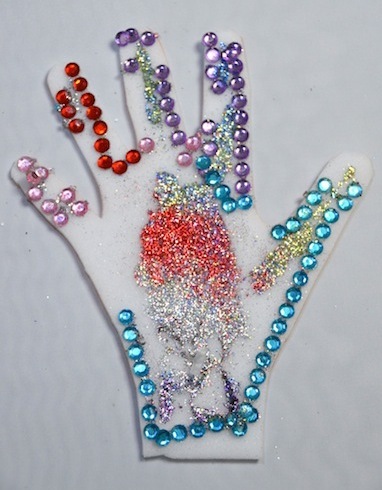 Decorations such as glitter, sequins, feathers, stickers, paint, tissue paper, or cut out images from newspapers and magazines. 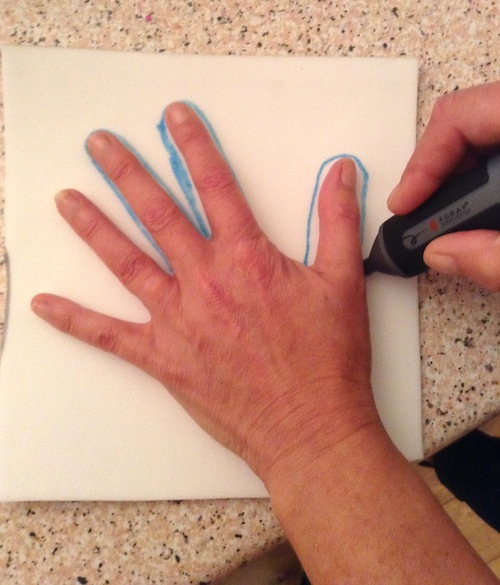 1) Place one hand on the Plastazote or card and draw around it with the pen to create an outline (or ask someone to draw round it for you). 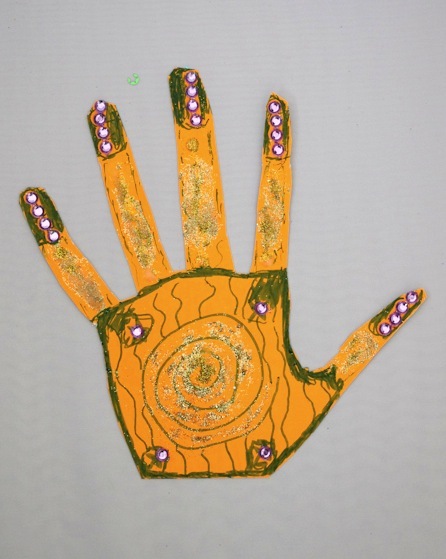 If you don’t have hands, then draw round whatever you consider your ‘hands’ to be. 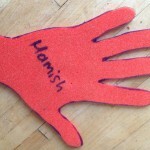 2) Then repeat this with your other hand. 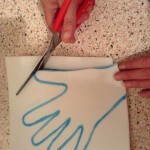 3) Use the scissors to cut the hands out (or ask someone to cut them out for you). 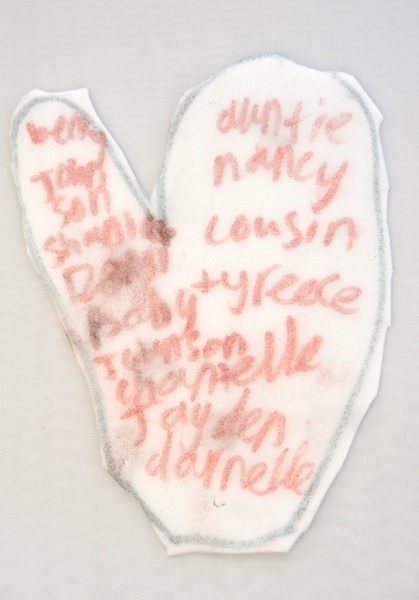 4) Write your name in the middle of the outlines (or ask someone to write it for you). 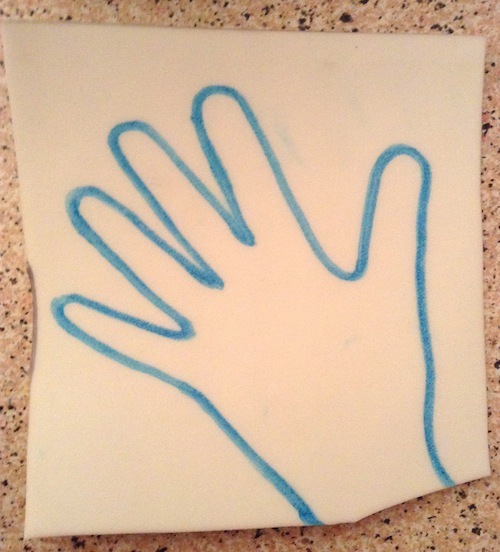 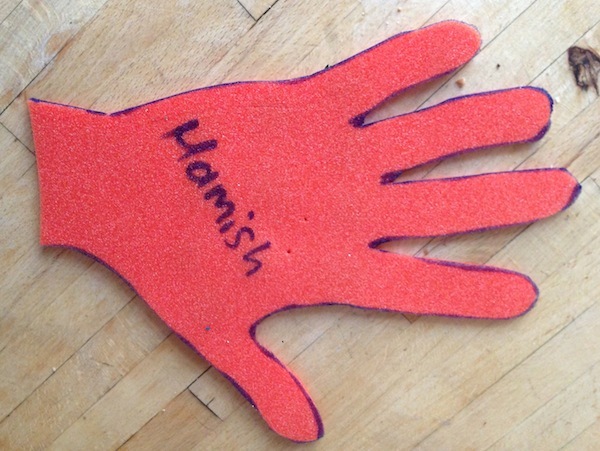 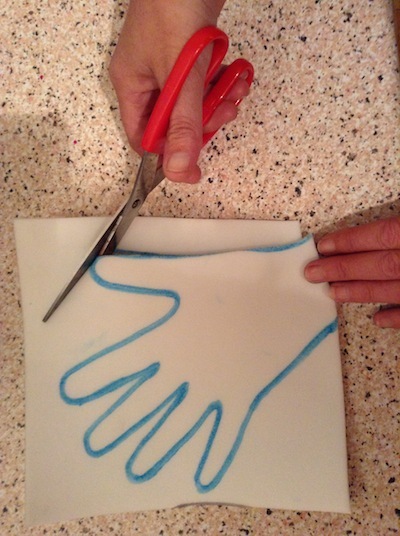 5) Turn the hands over so you have a clean shape to work with. 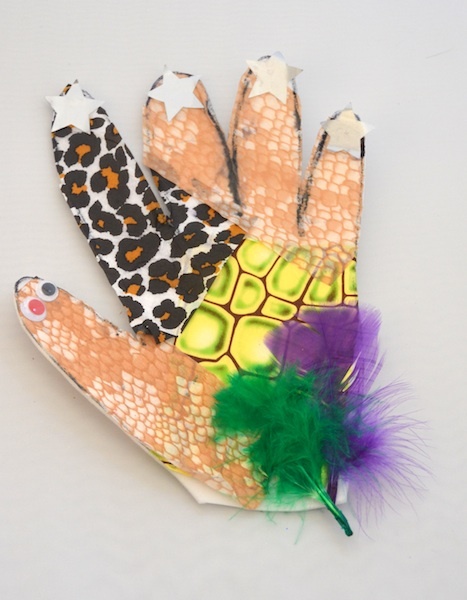 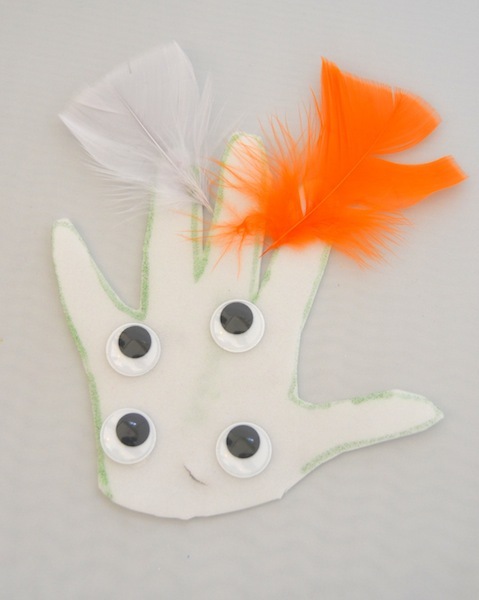 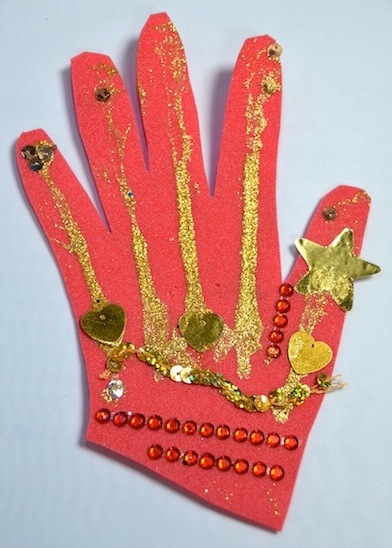 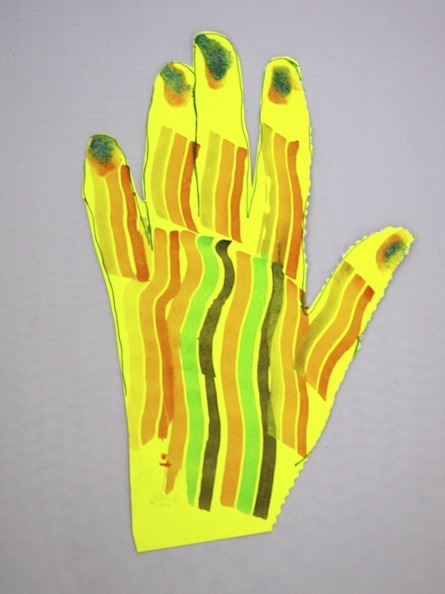 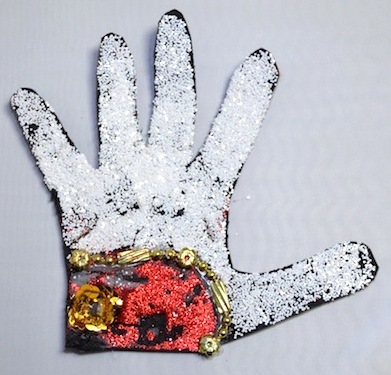 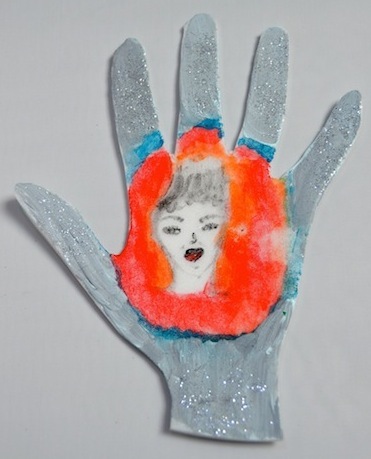 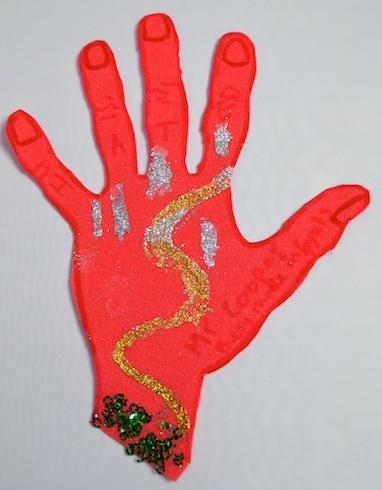 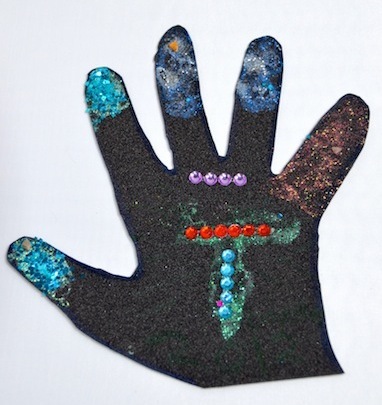 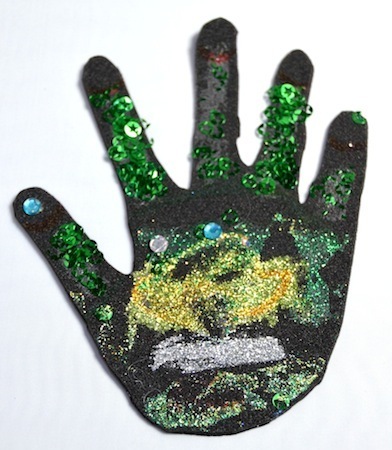 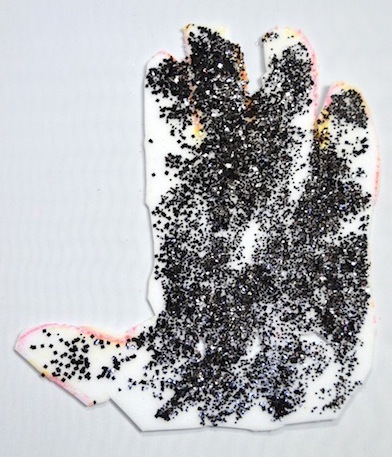 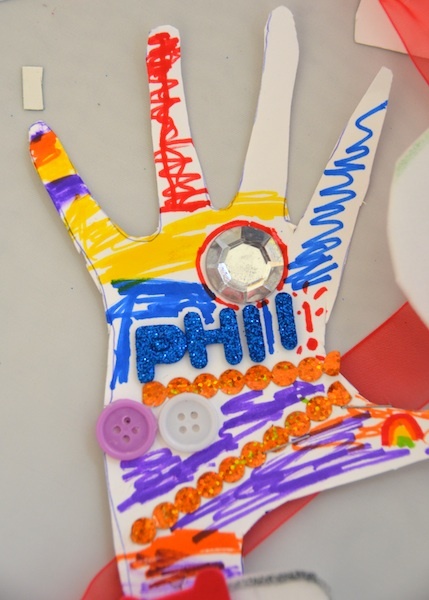 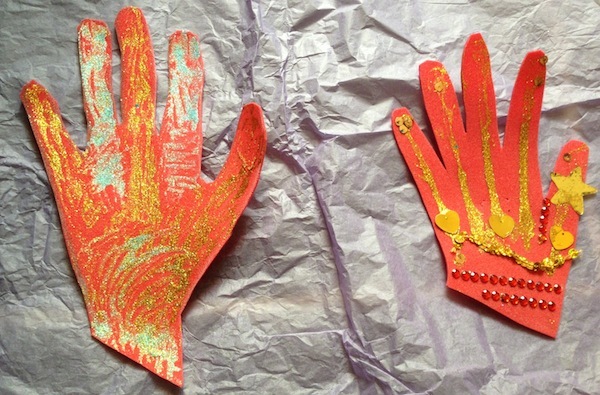 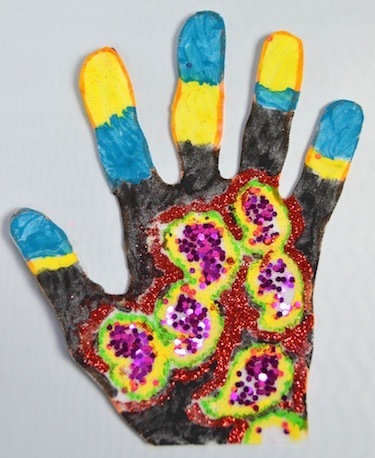 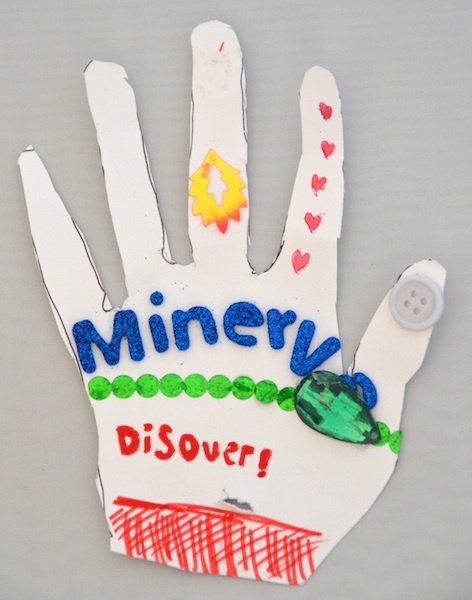 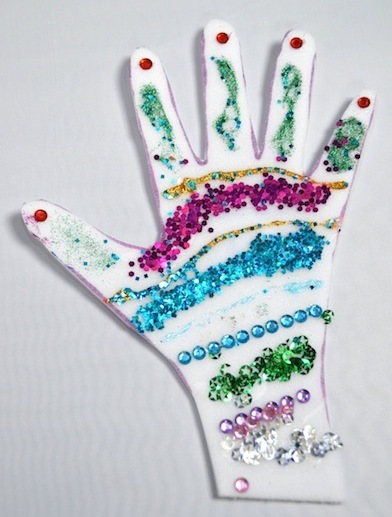 6) Decorate the hands exactly as you wish e.g. 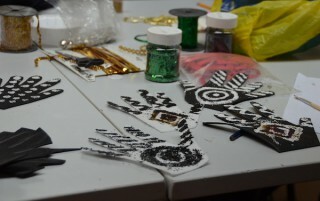 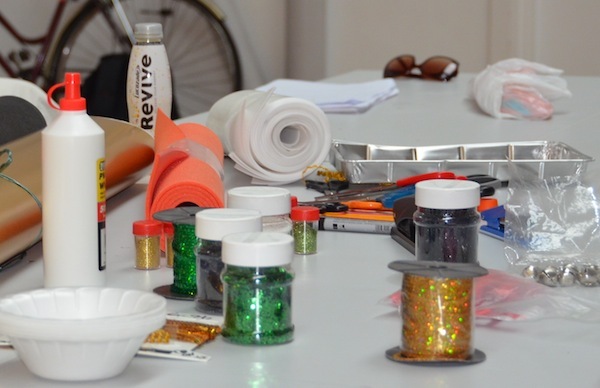 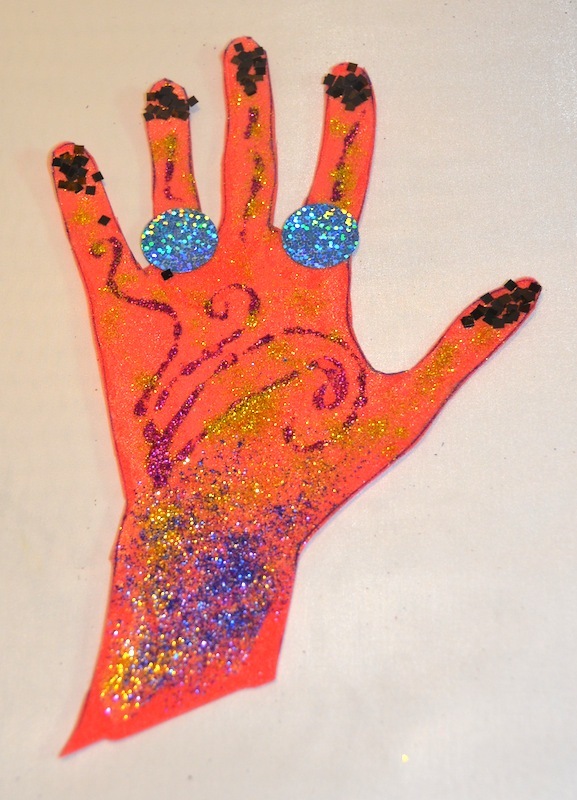 by painting them / glueing objects onto them / creating designs in glitter and sequins / using stickers. 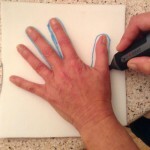 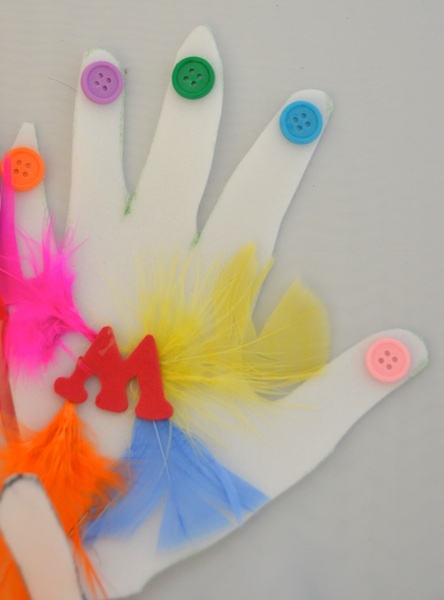 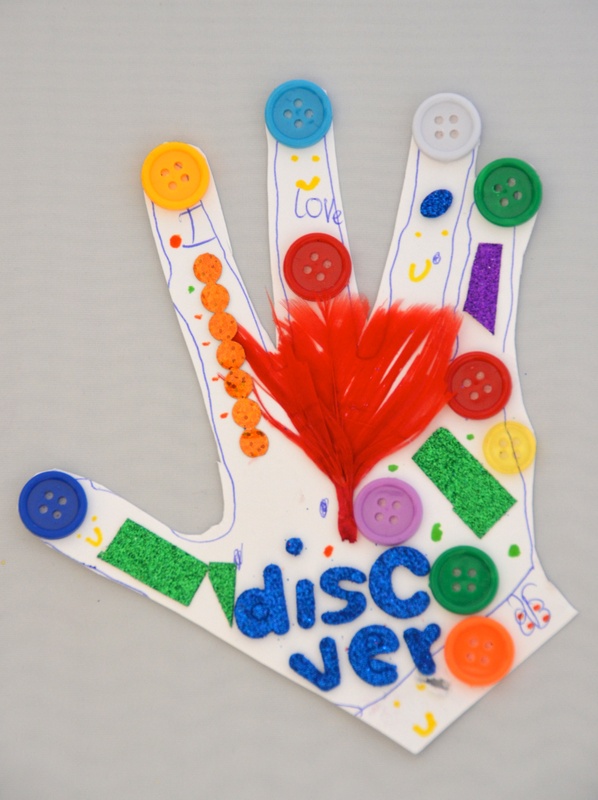 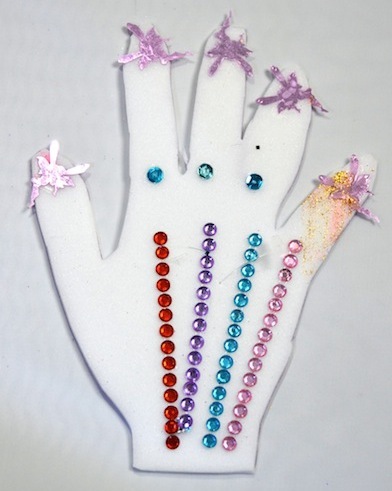 If you are not able to do this yourself, ask someone else to decorate the hands following your instructions. 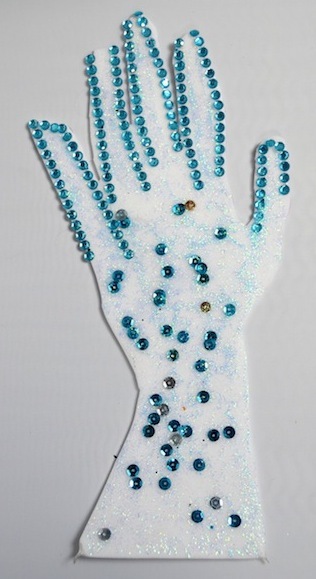 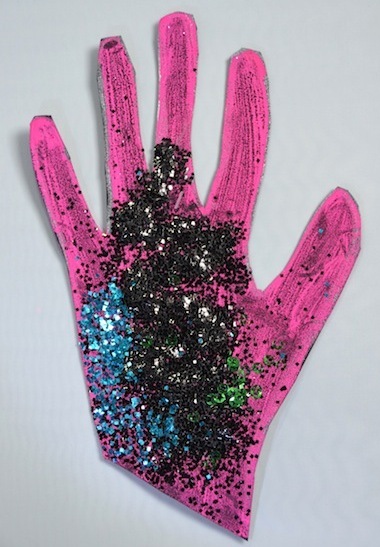 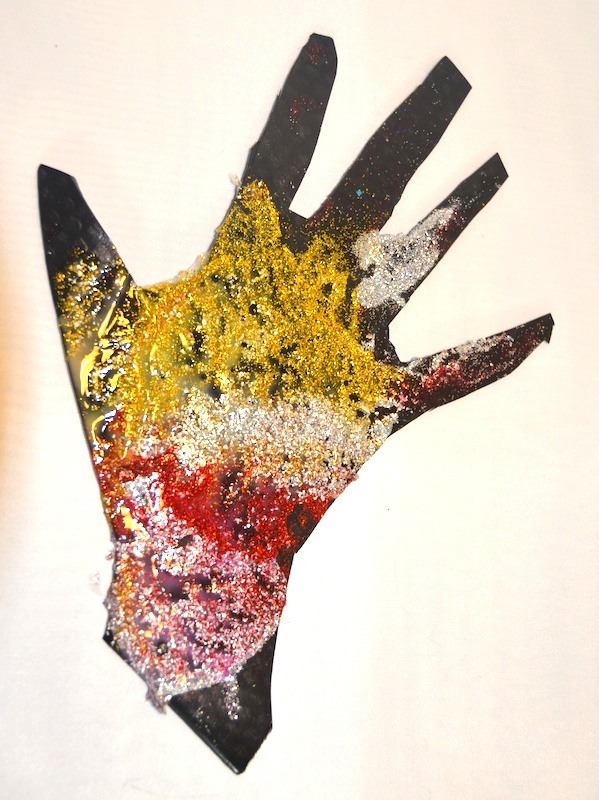 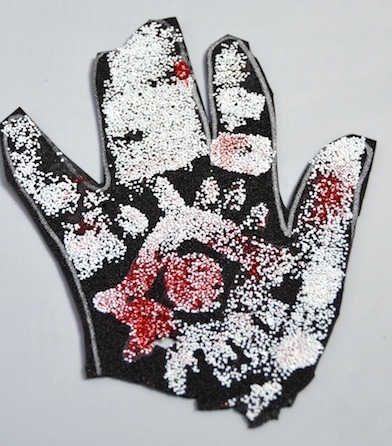 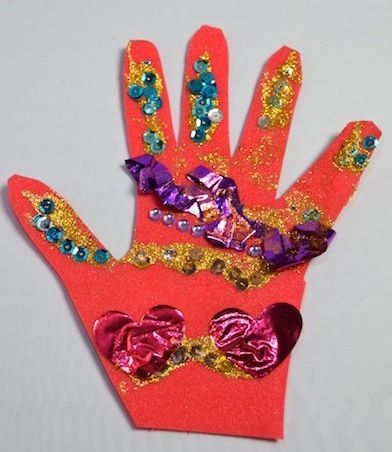 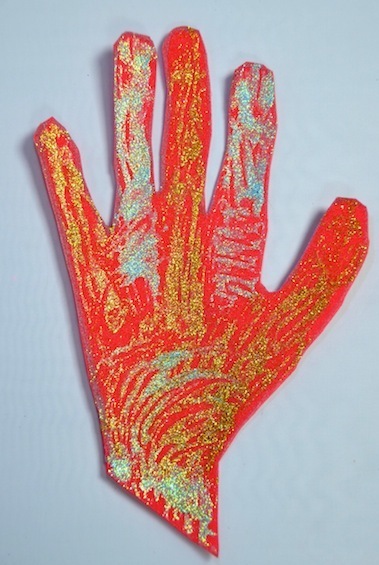 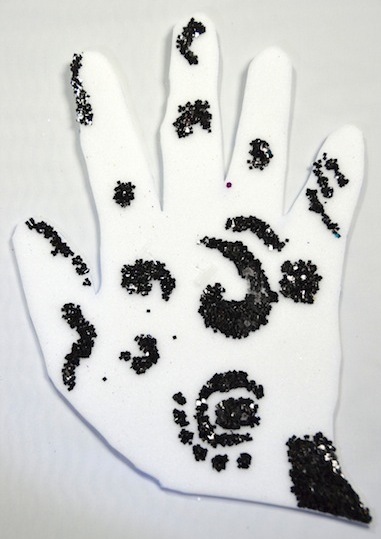 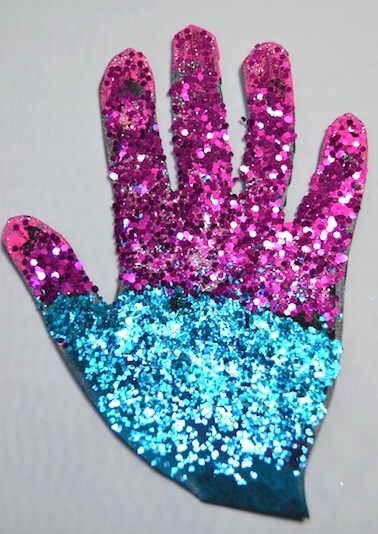 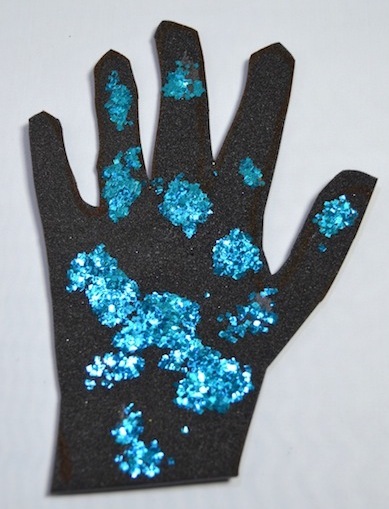 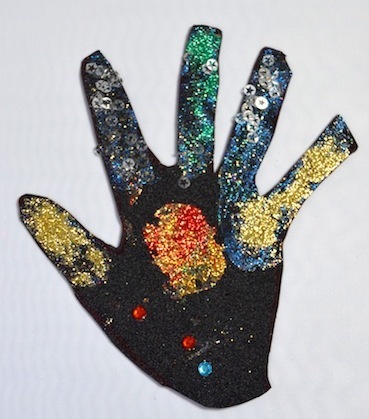 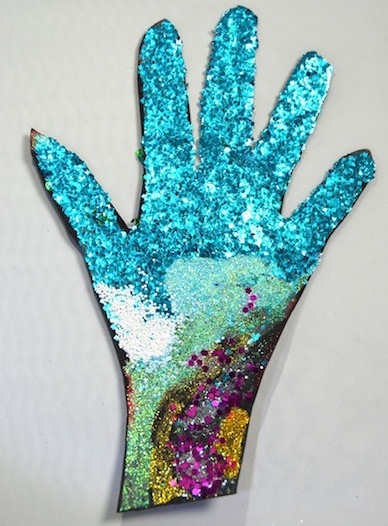 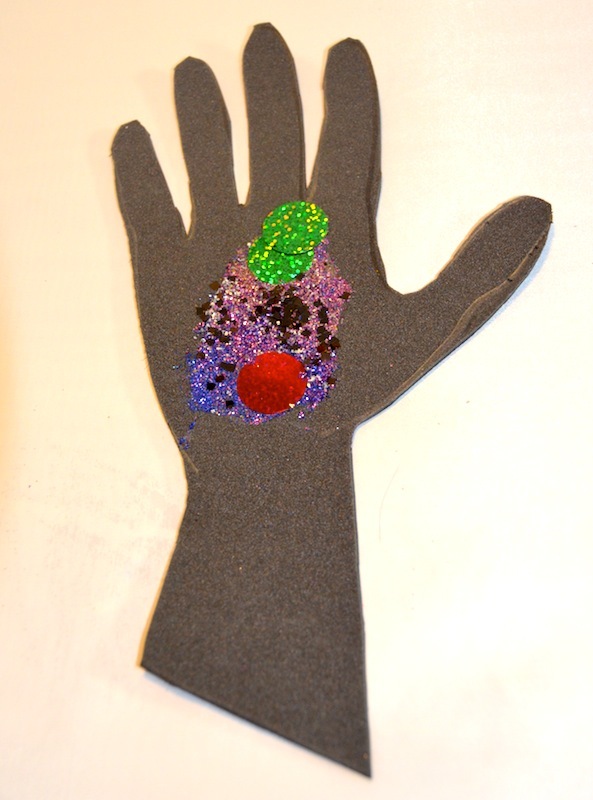 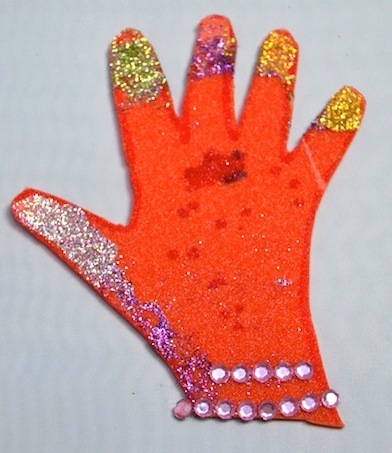 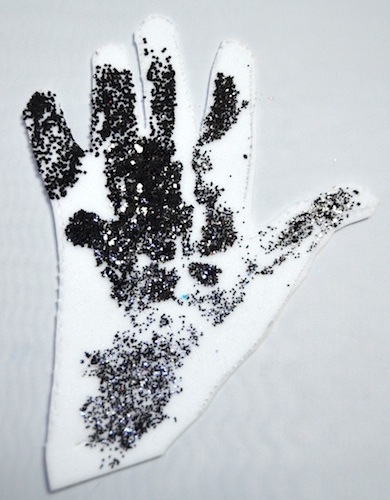 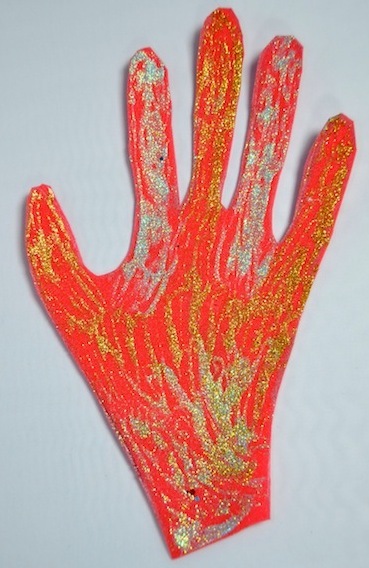 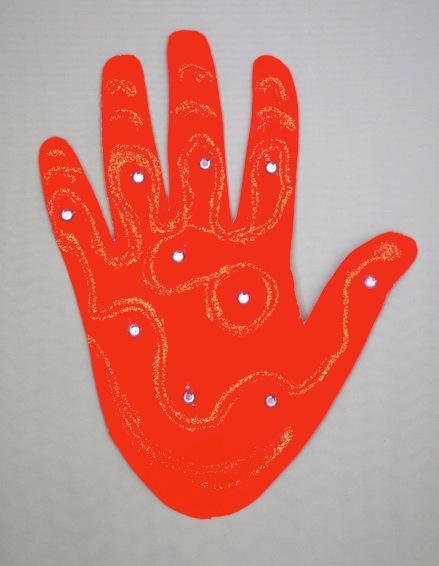 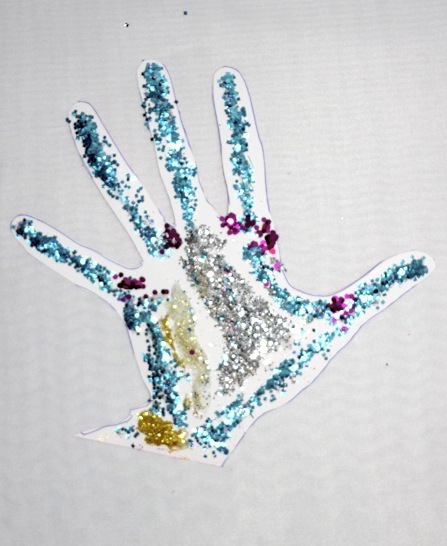 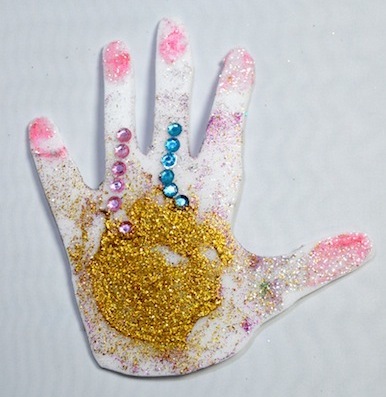 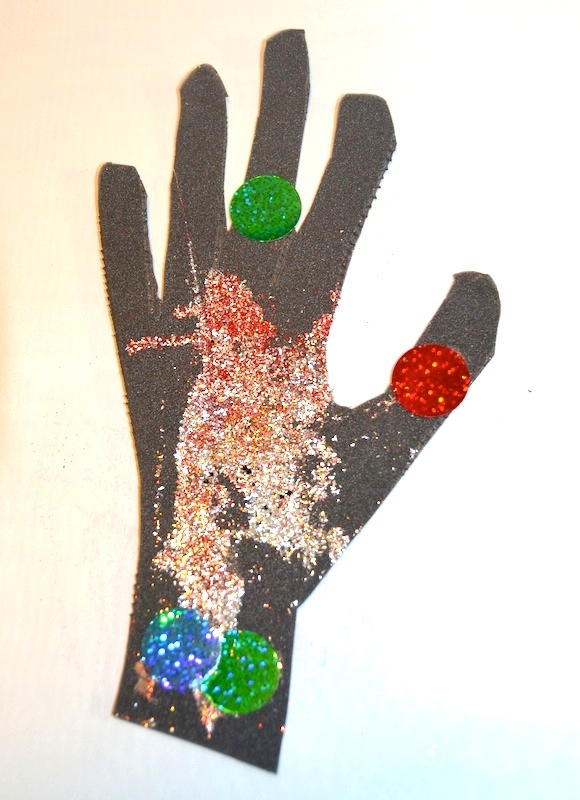 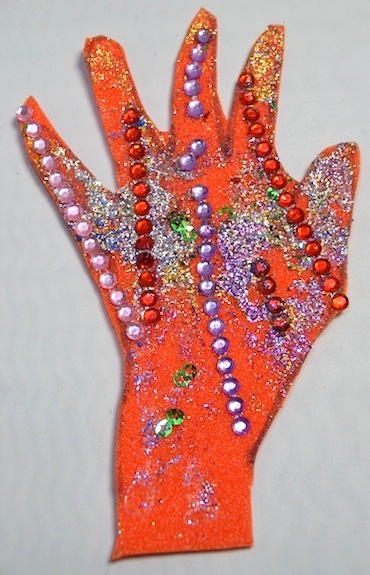 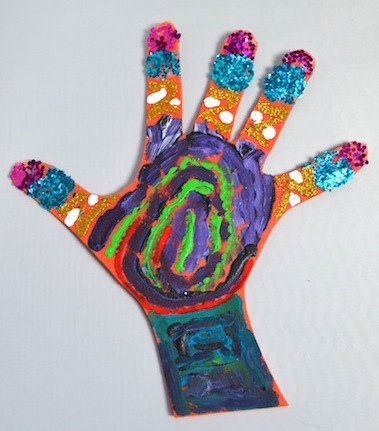 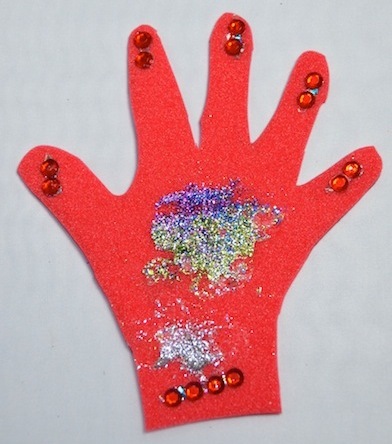 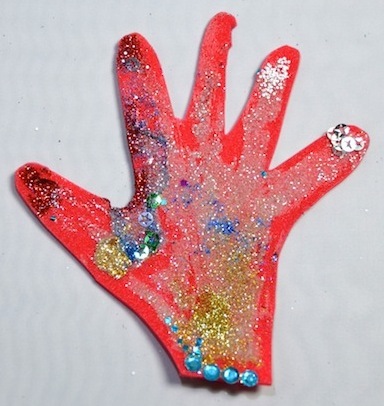 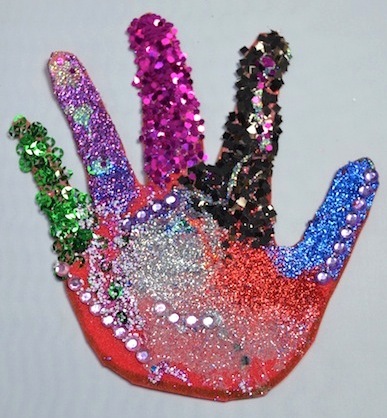 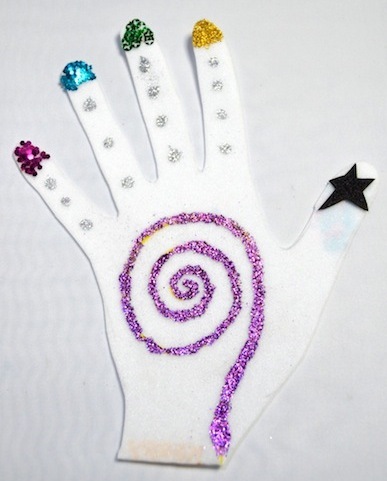 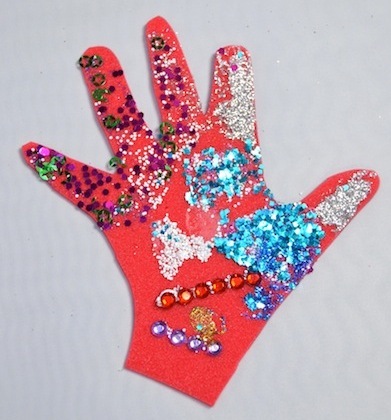 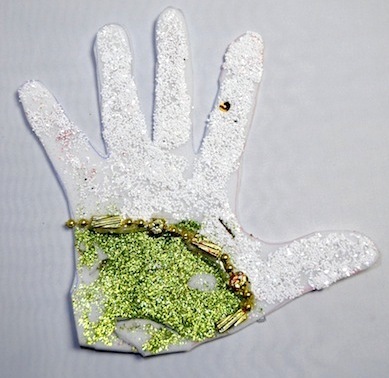 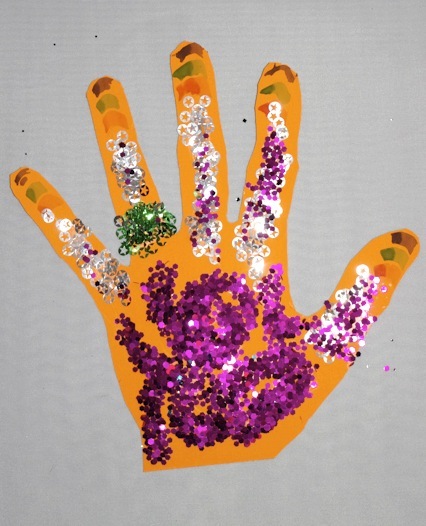 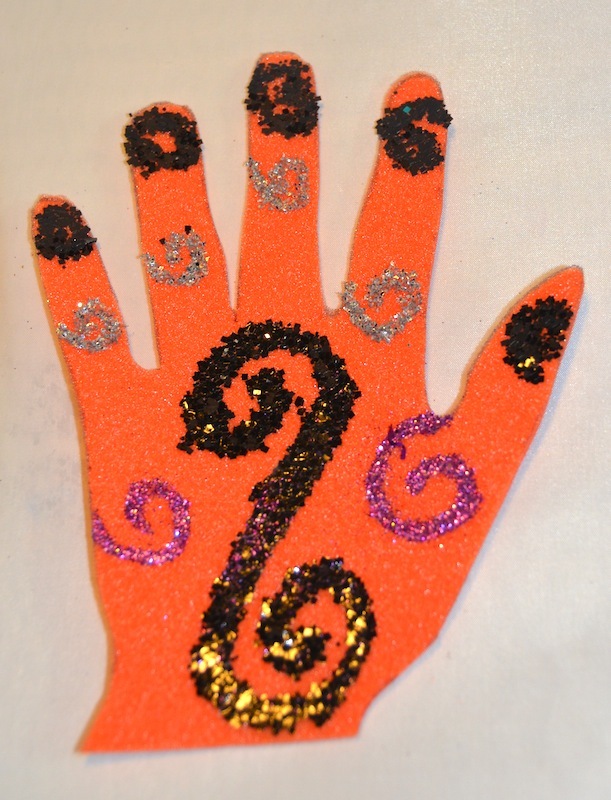 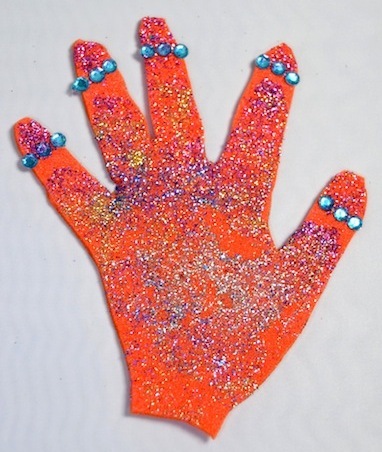 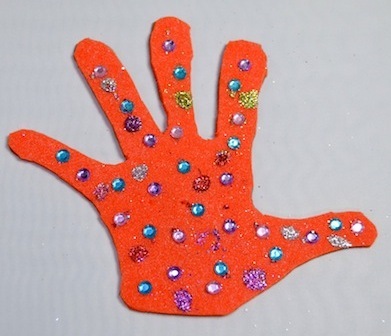 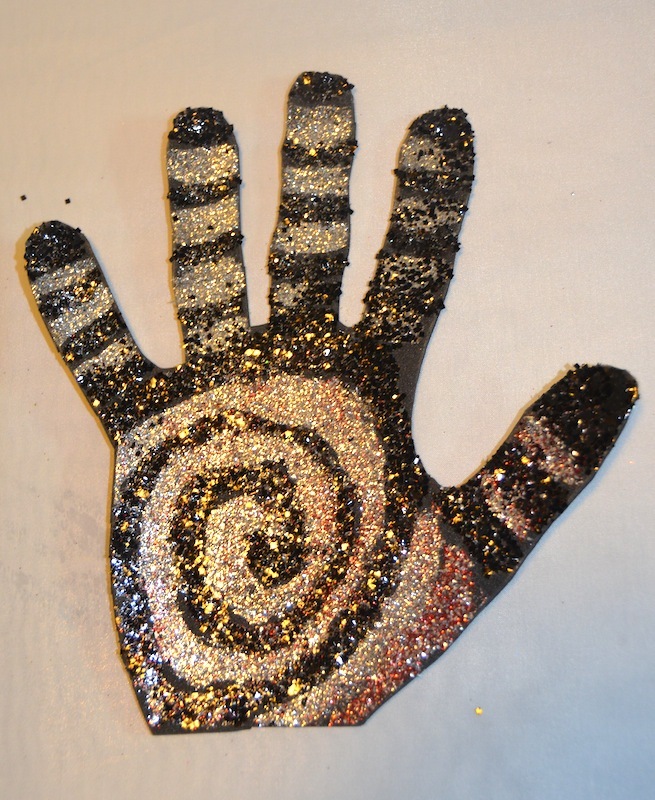 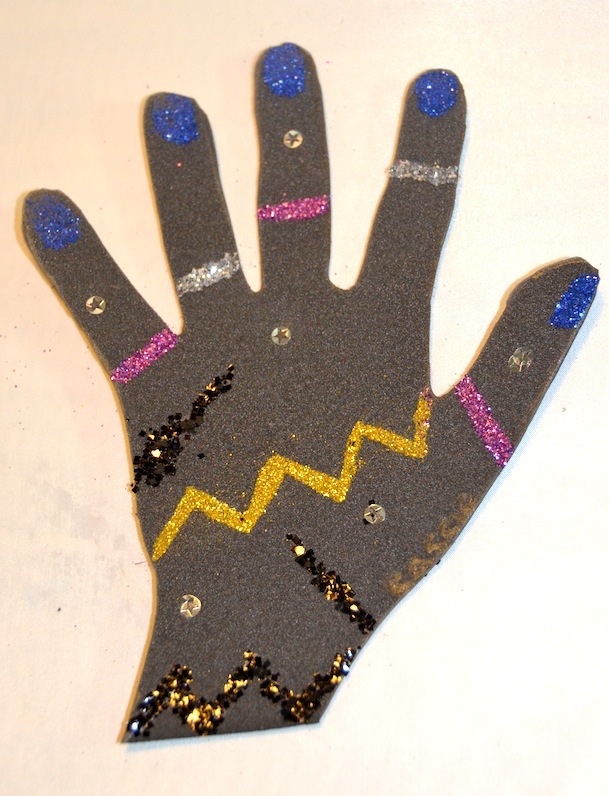 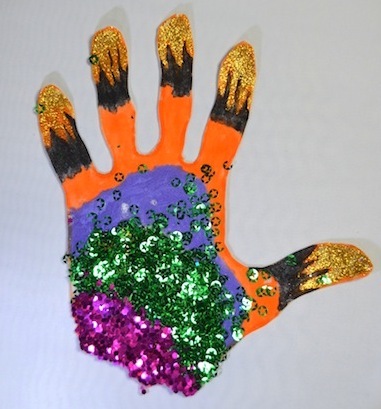 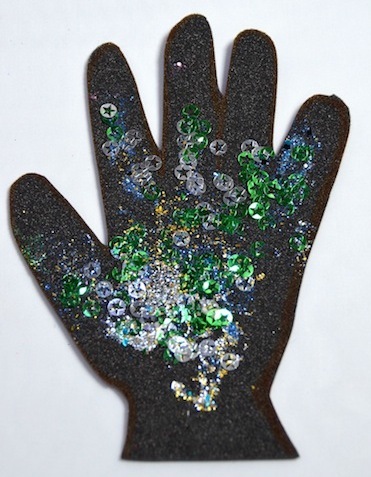 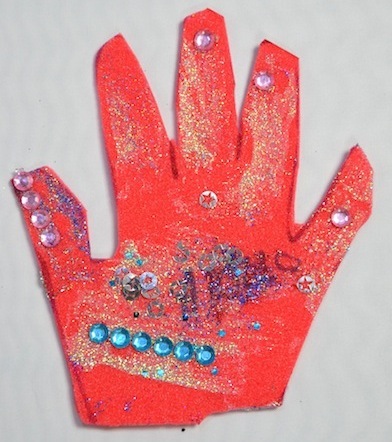 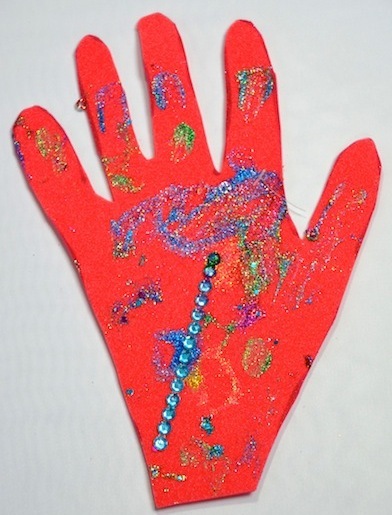 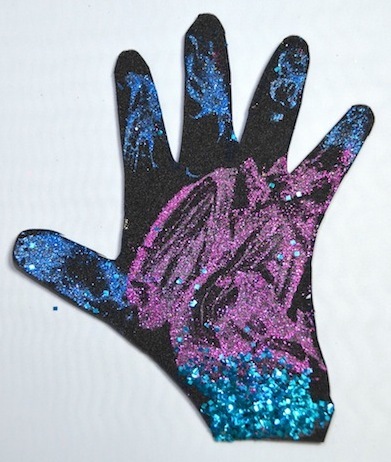 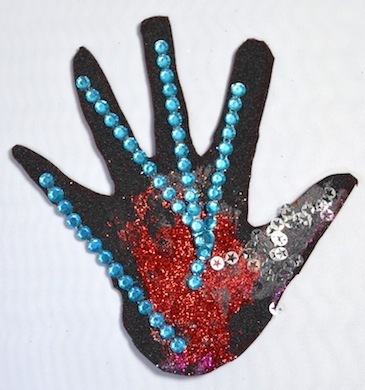 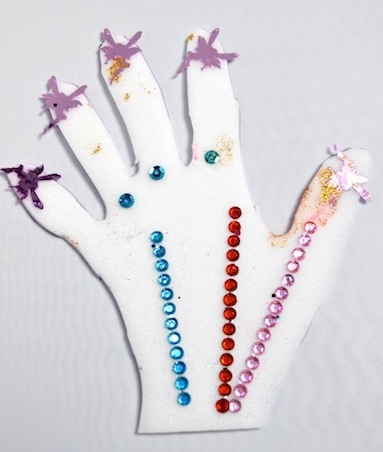 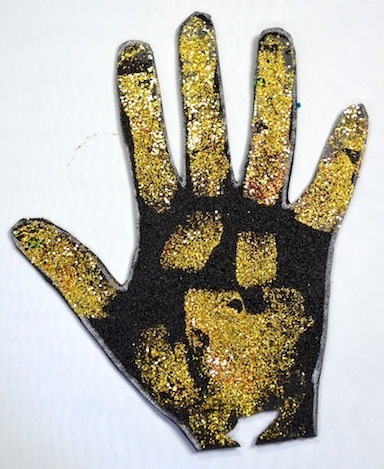 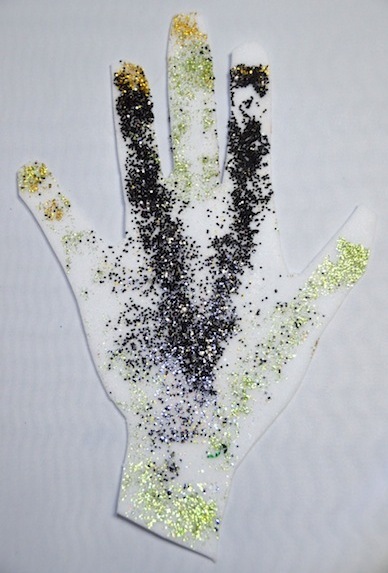 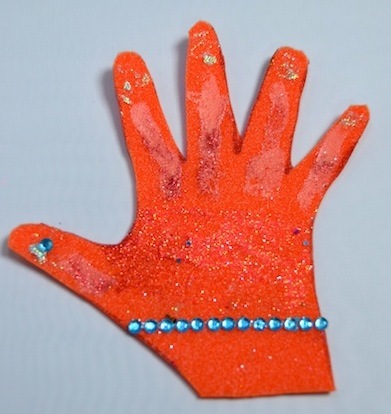 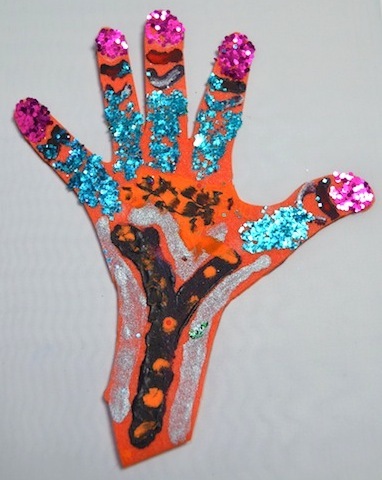 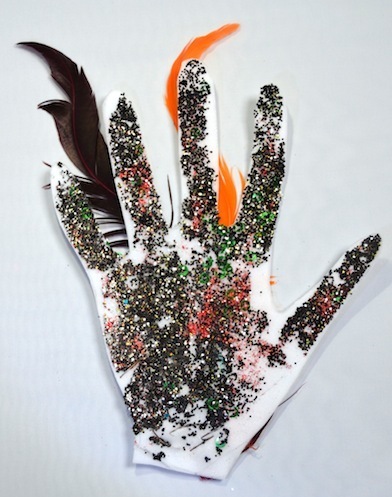 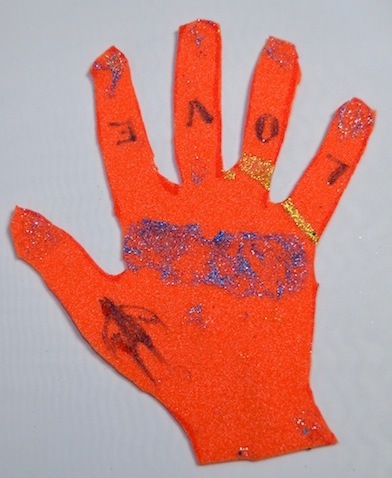 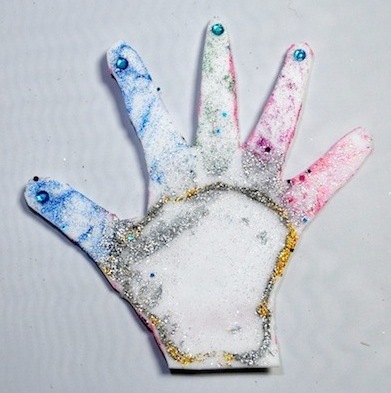 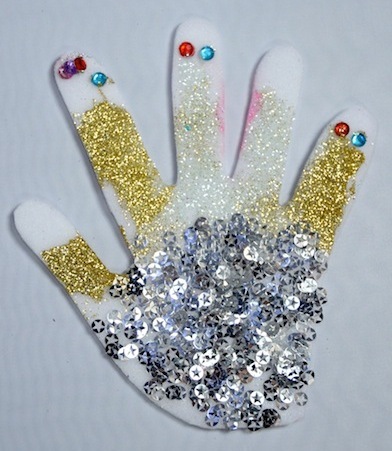 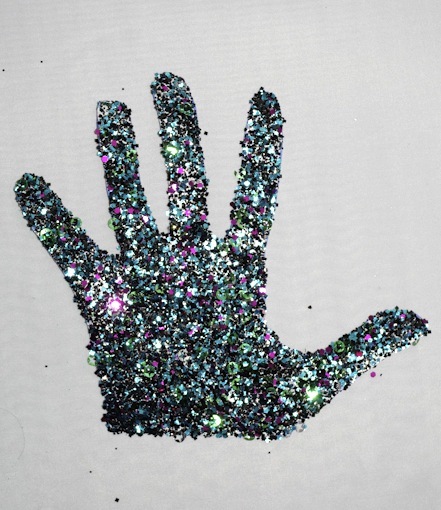 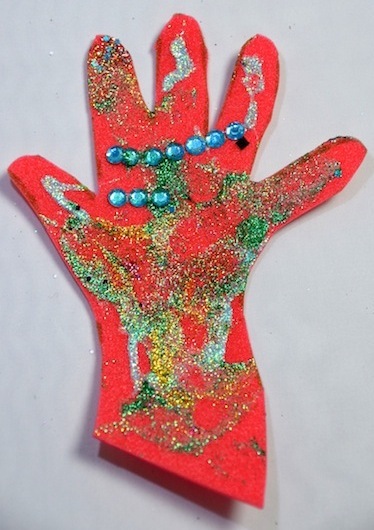 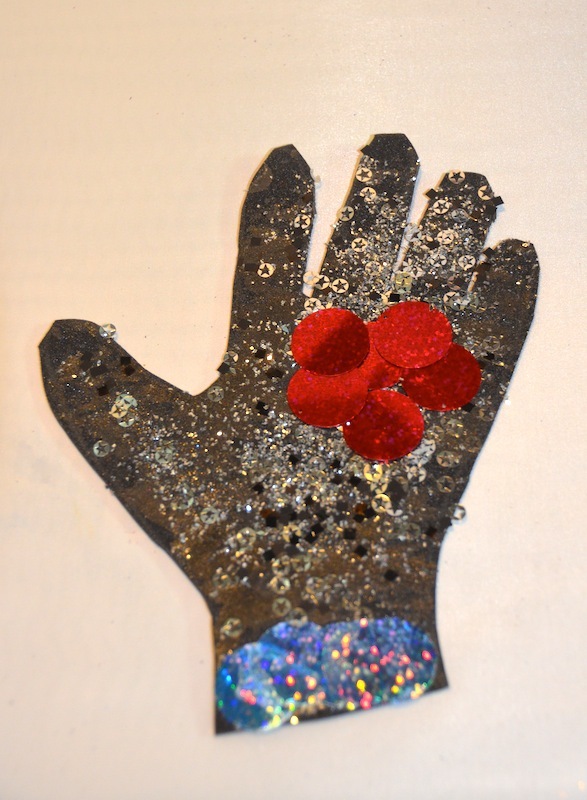 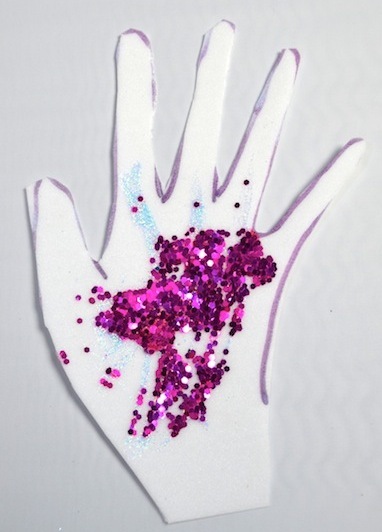 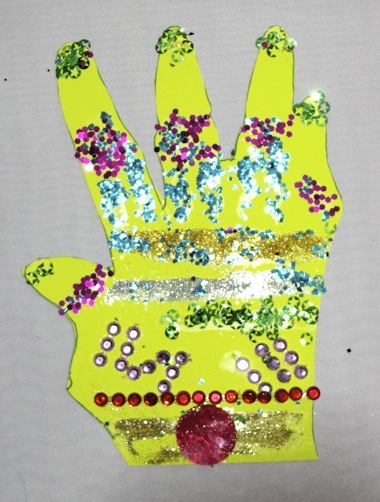 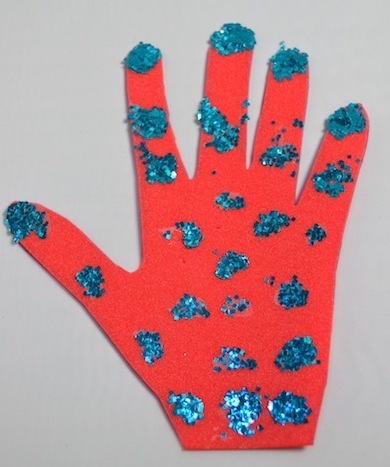 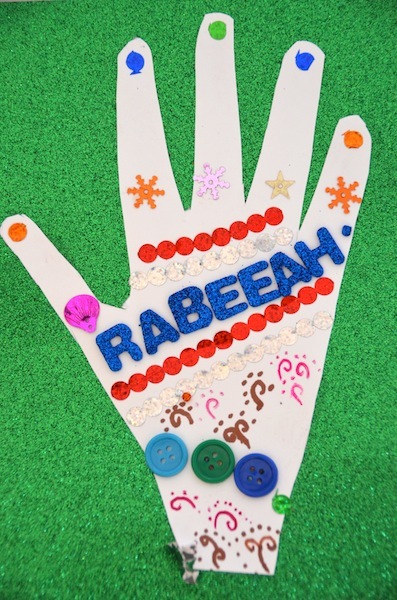 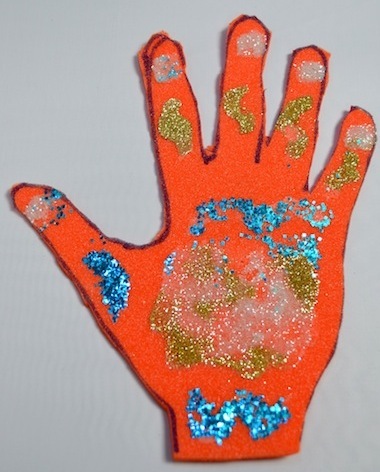 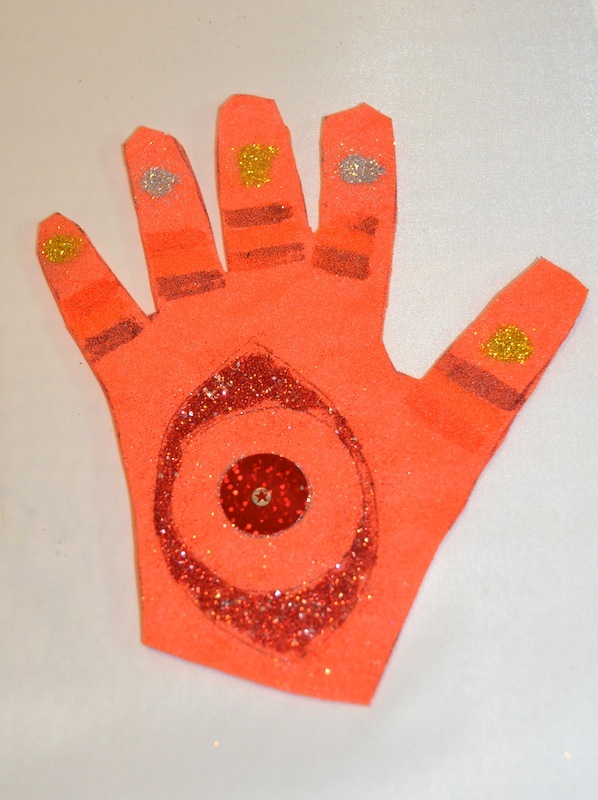 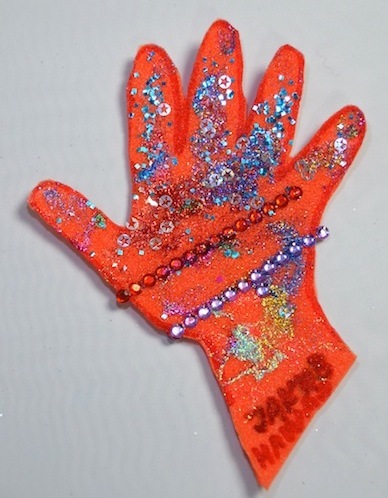 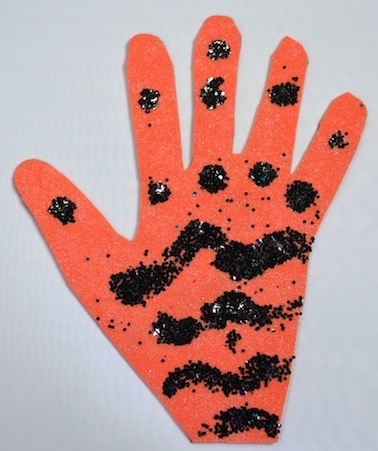 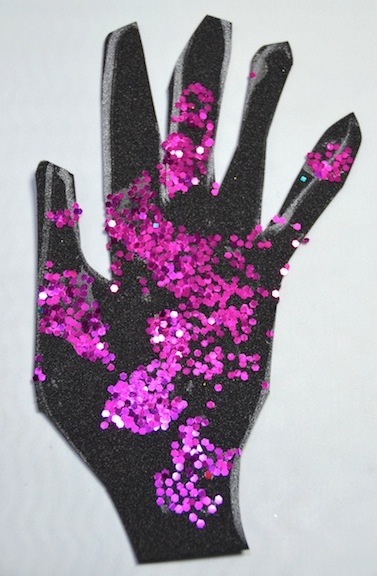 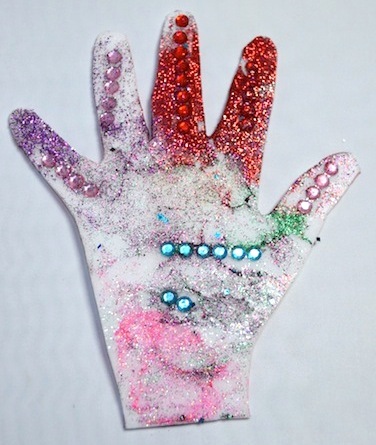 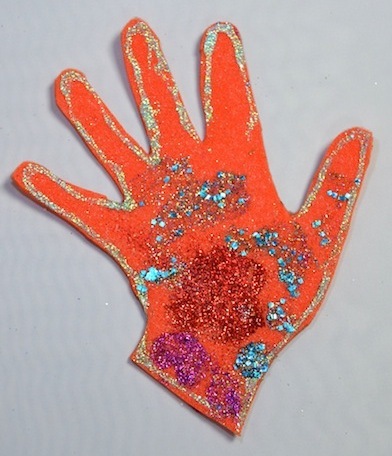 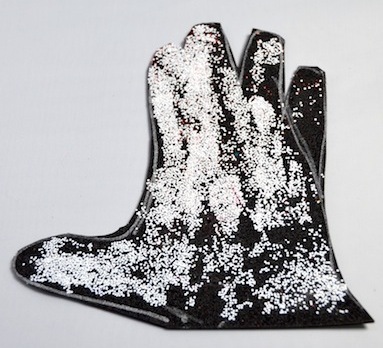 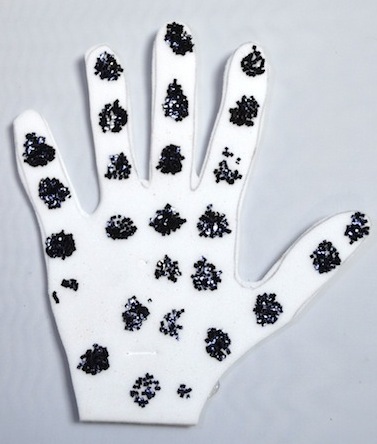 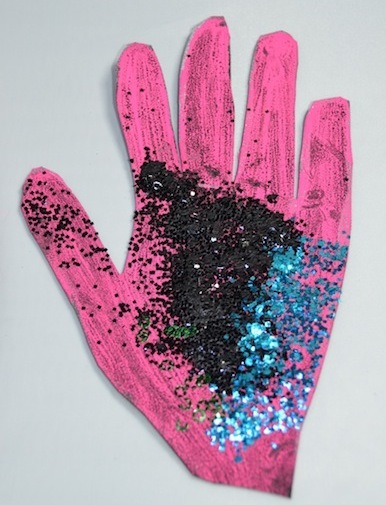 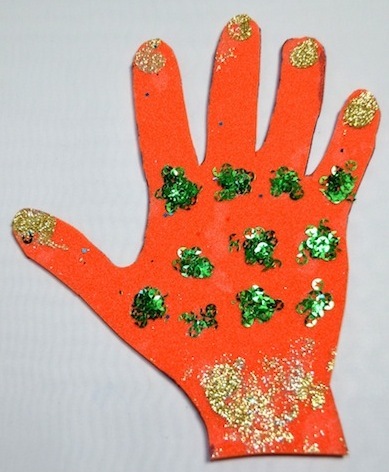 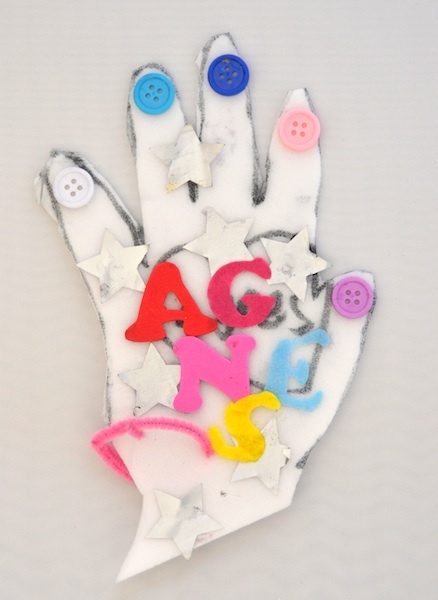 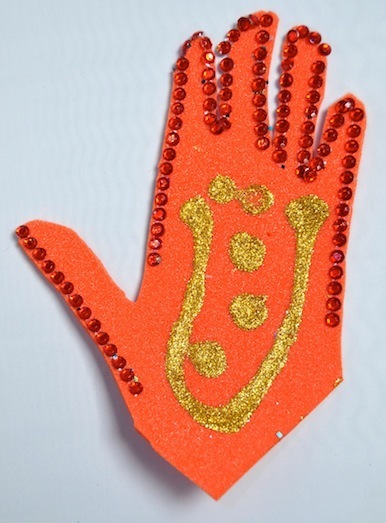 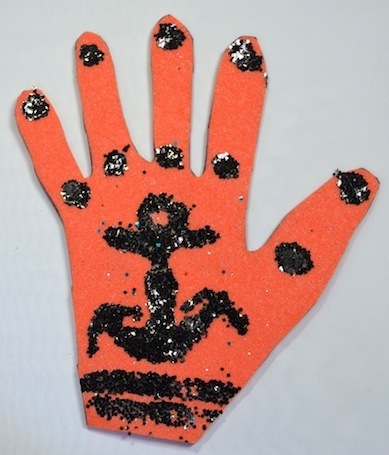 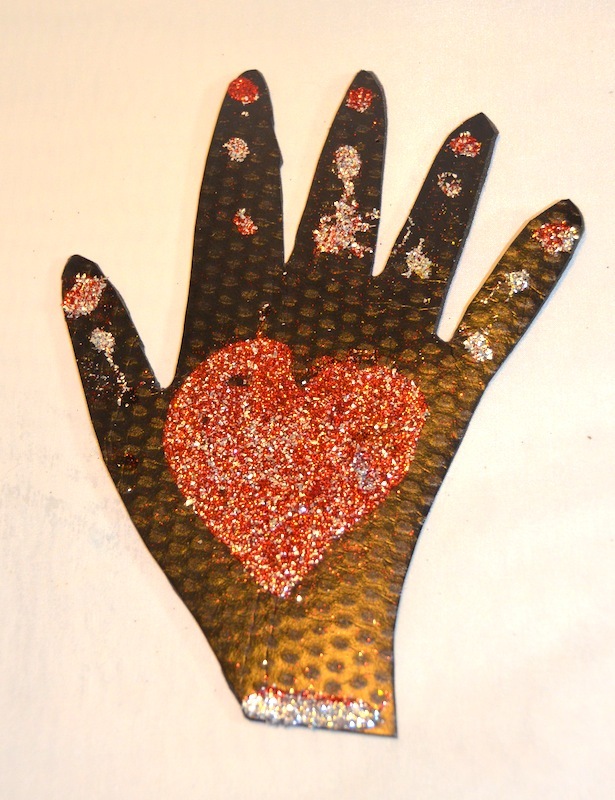 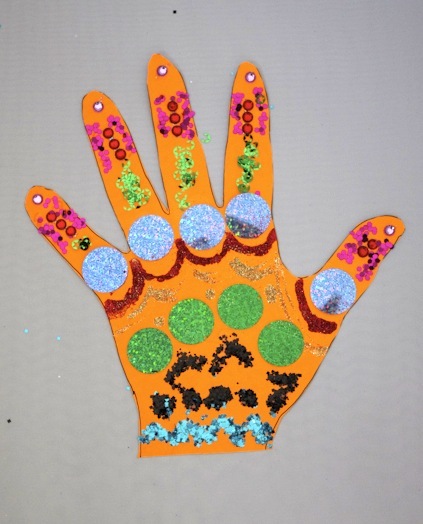 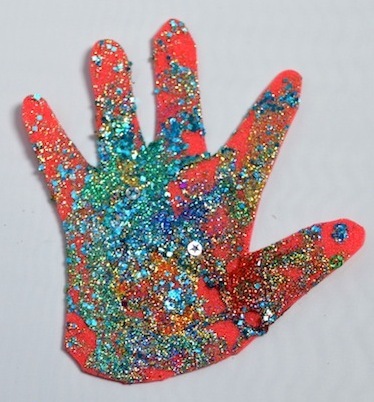 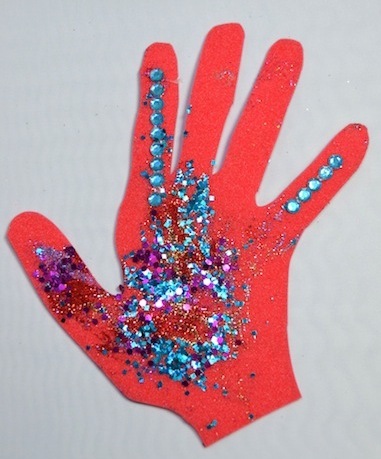 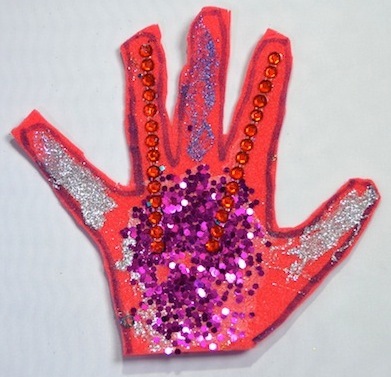 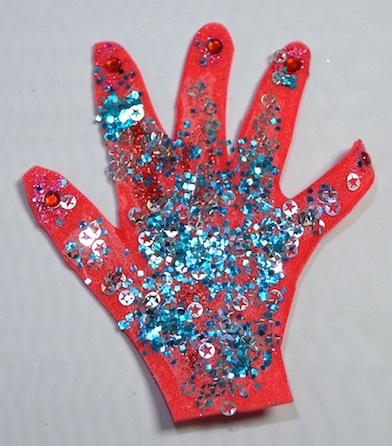 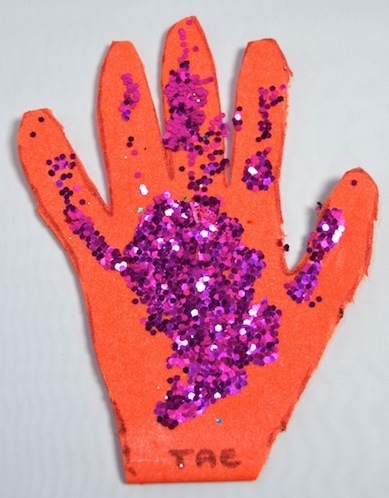 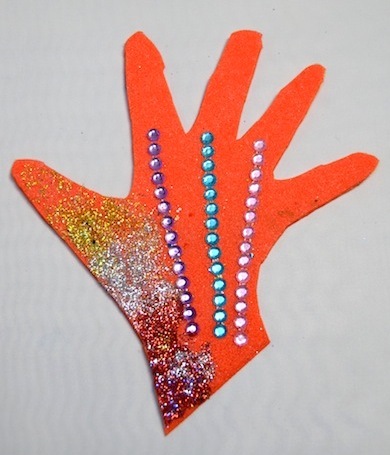 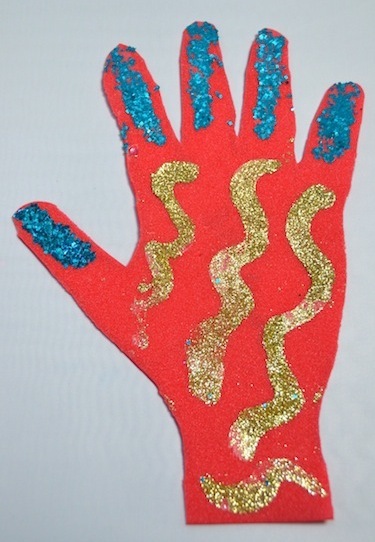 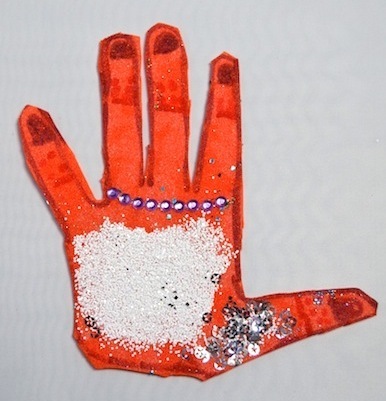 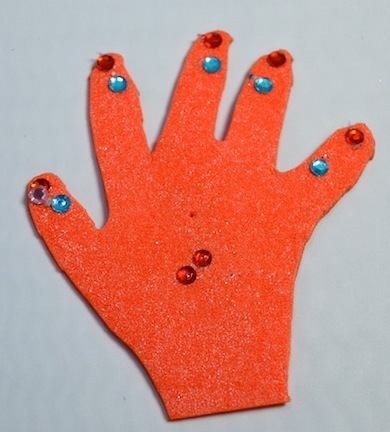 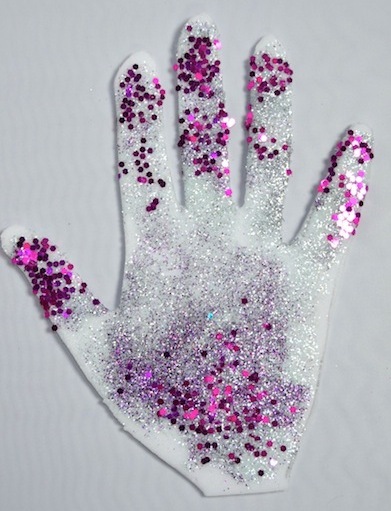 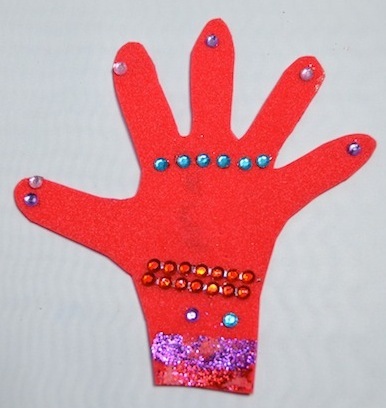 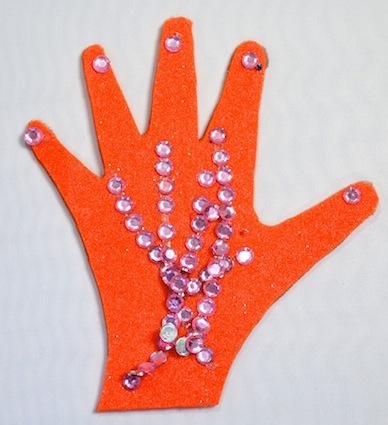 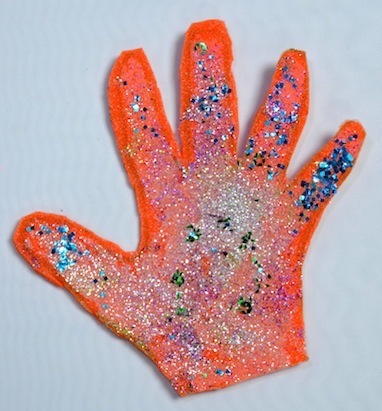 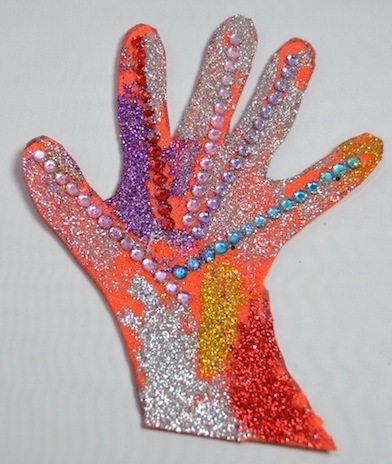 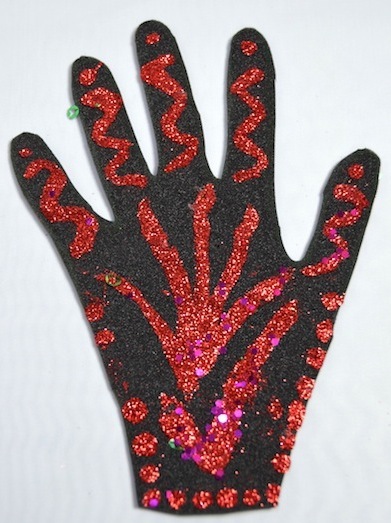 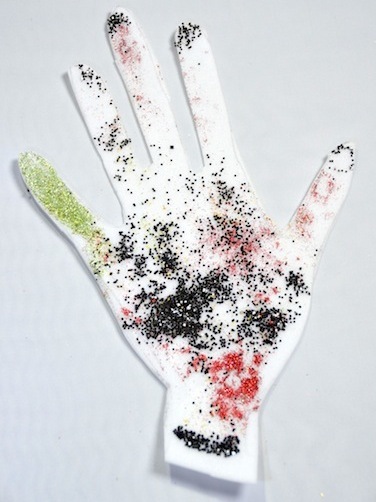 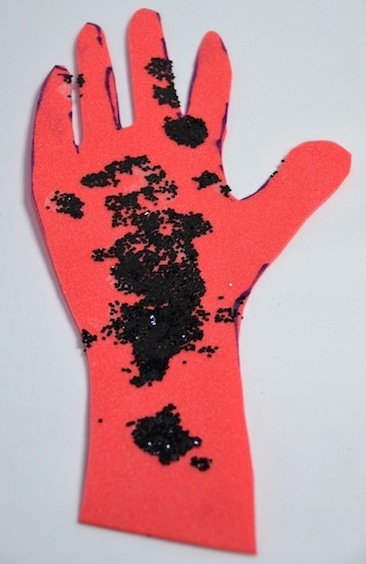 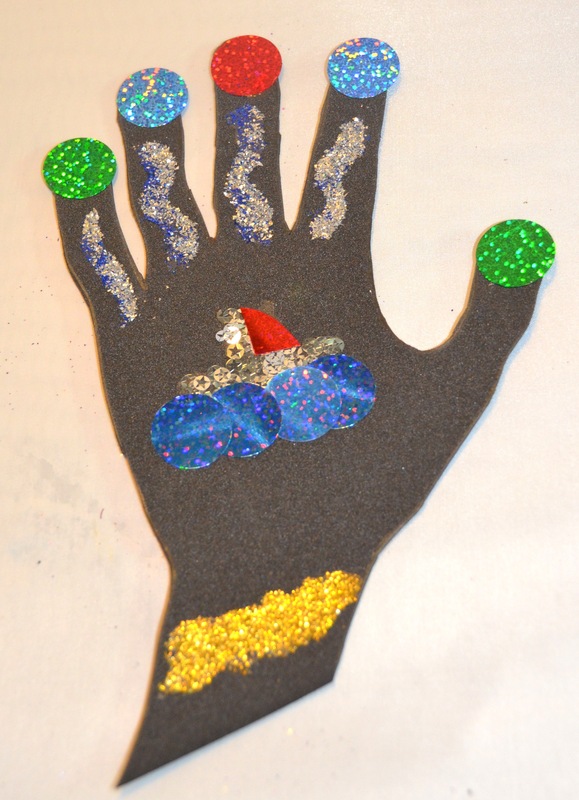 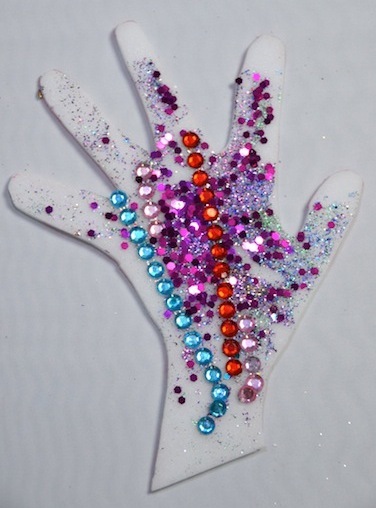 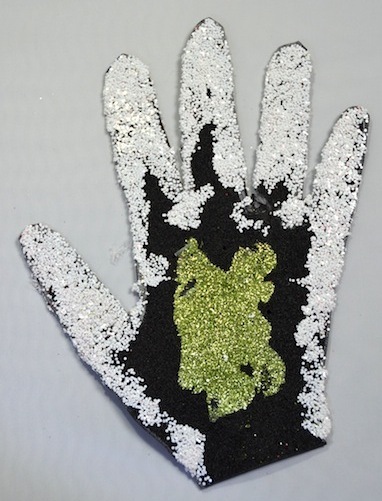 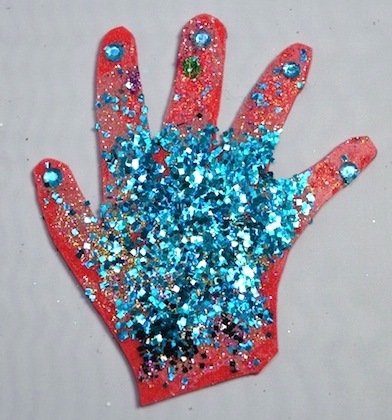 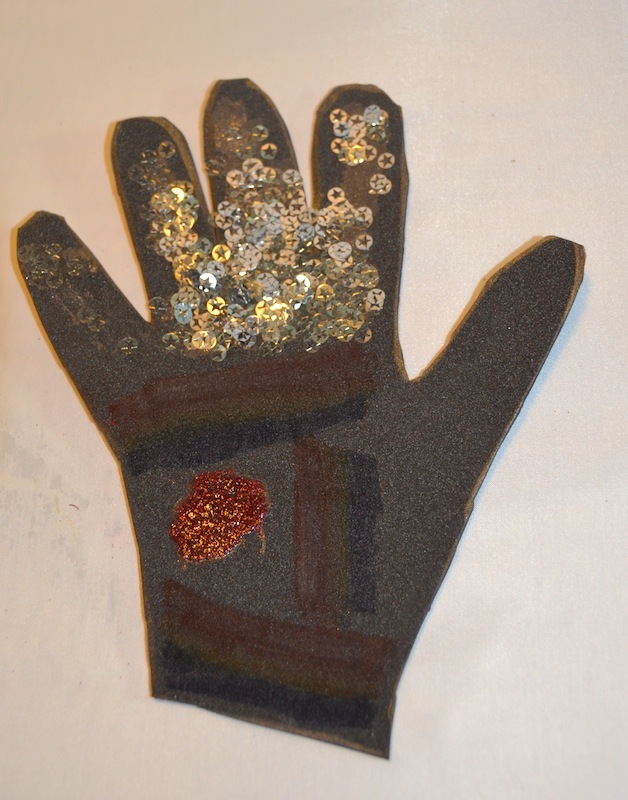 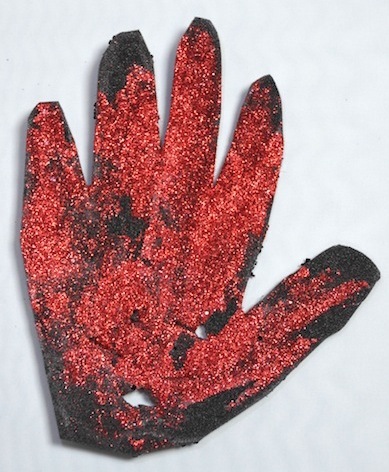 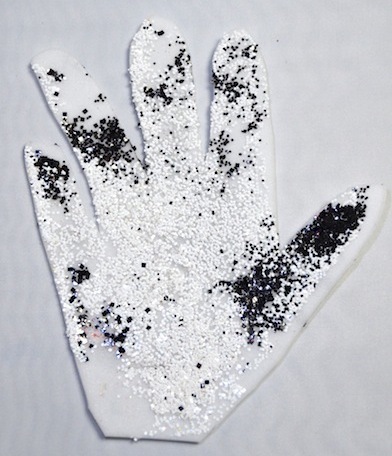 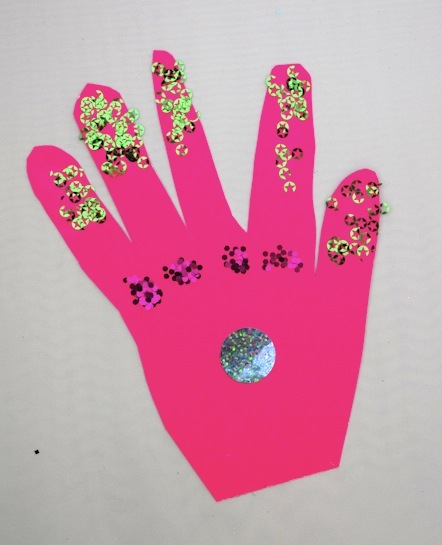 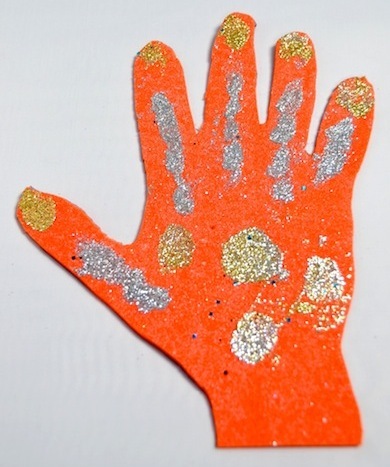 TIP: You can use glue to paint designs on the hands and then sprinkle glitter or sequins on top. 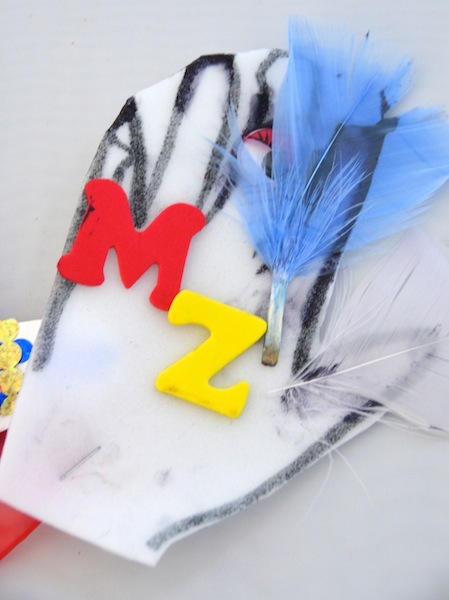 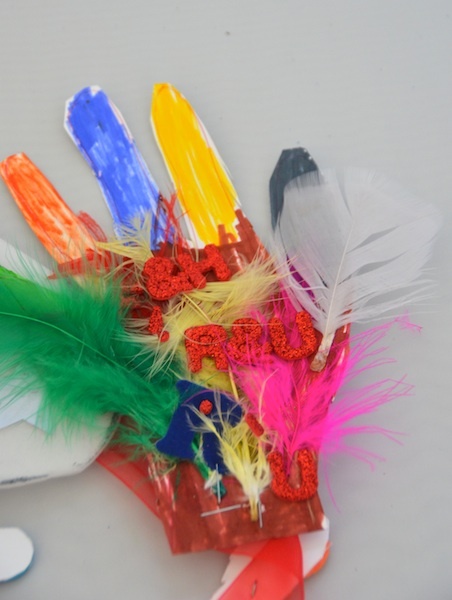 TIP: Use contact glue for feathers and other larger items. 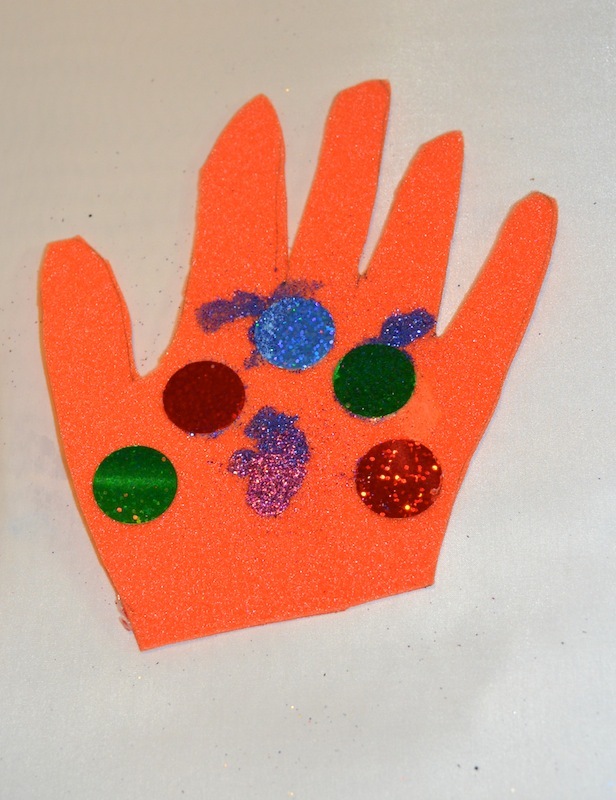 TIP: Don’t use too much glue! 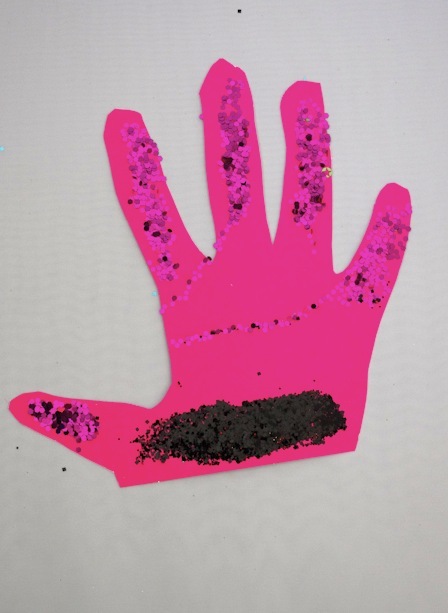 7) Leave to dry thoroughly. 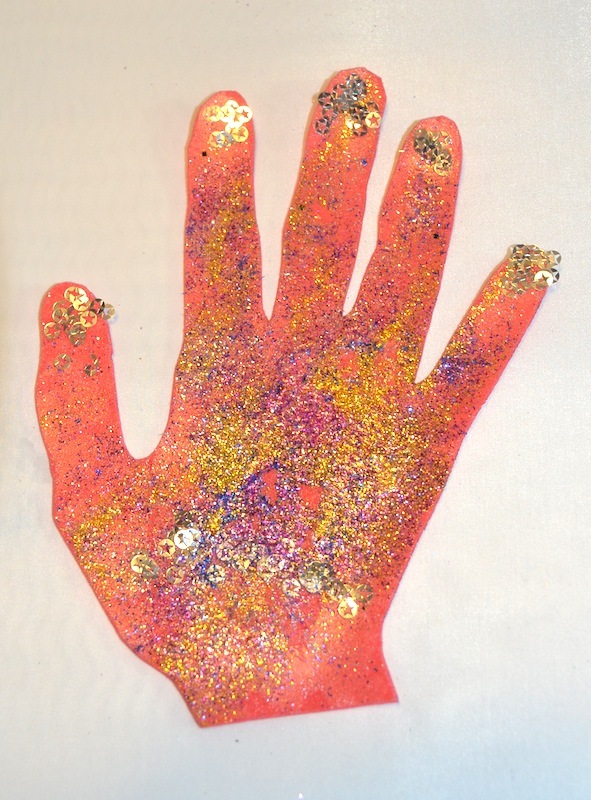 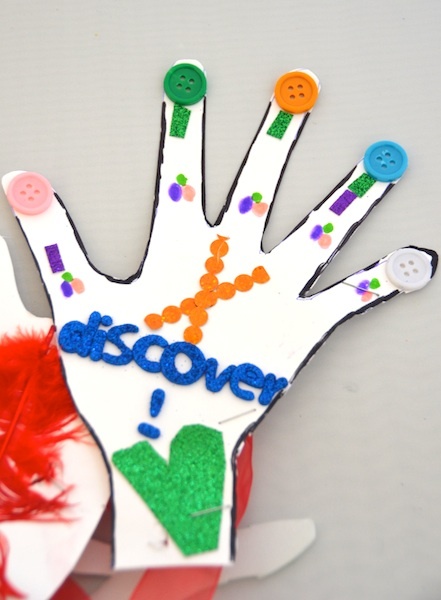 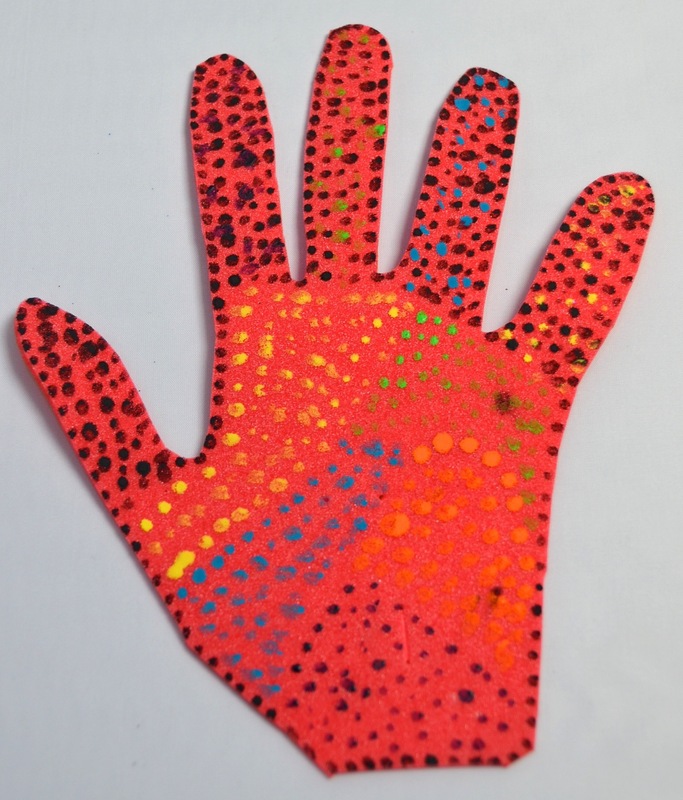 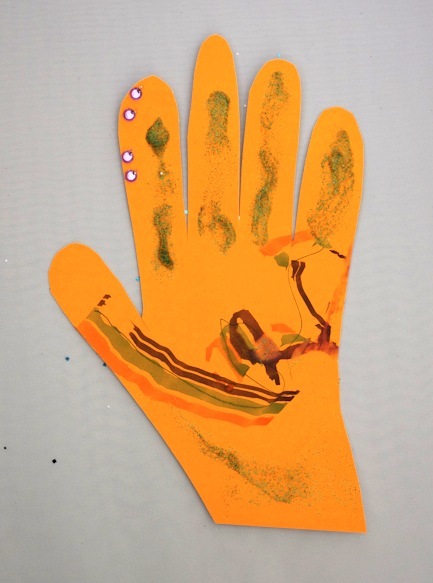 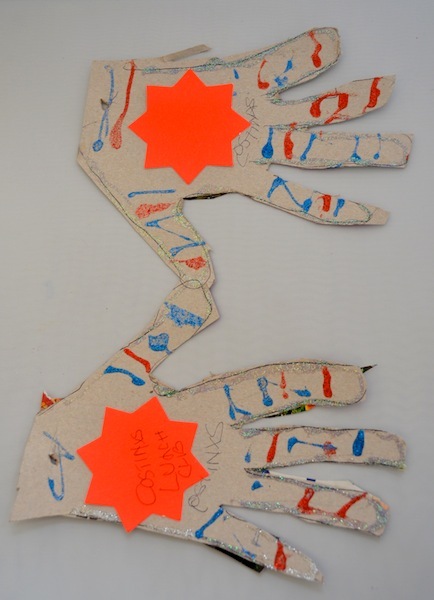 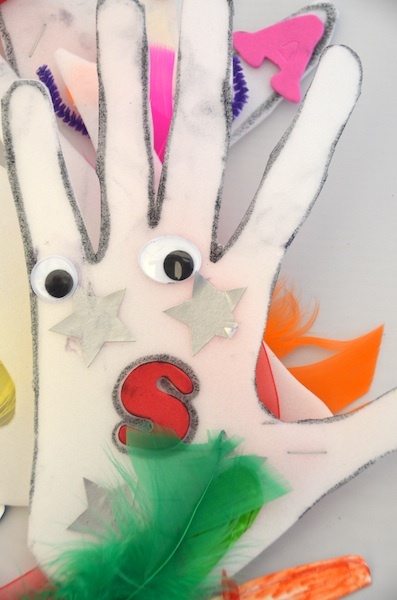 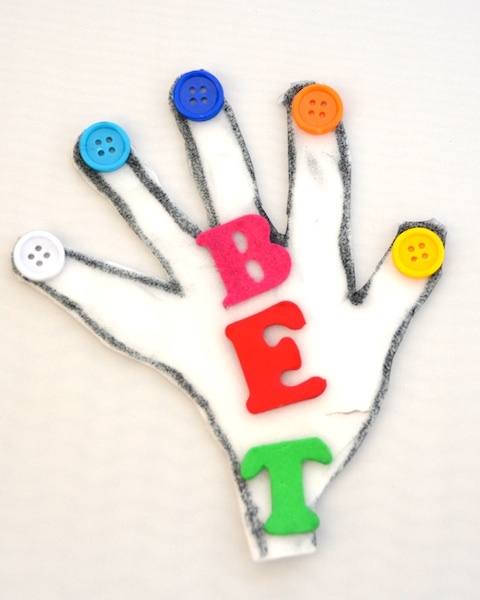 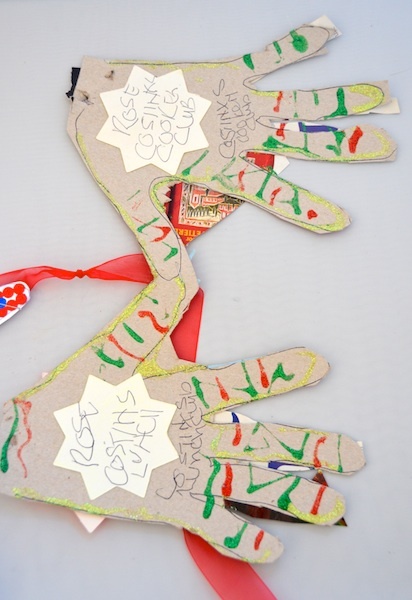 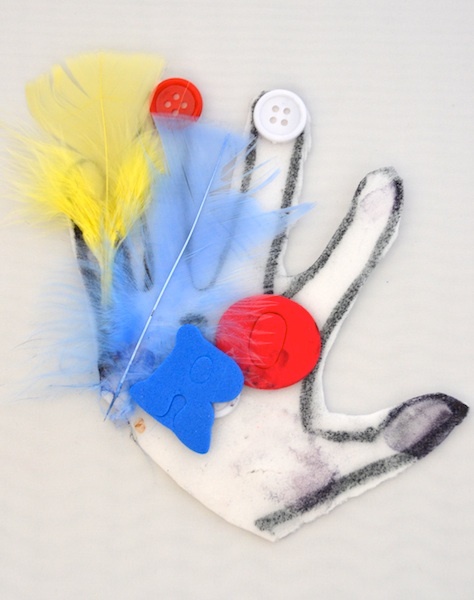 8) If you have access to a camera and the internet, take photographs of your finished hands and email them to info@together2012.org.uk We will then include them in the slideshow on our website. 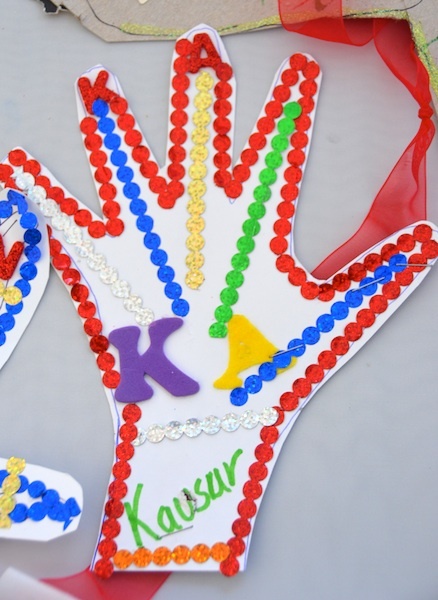 9) If you are working with a group, staple all of the hands onto ribbons to exhibit them. 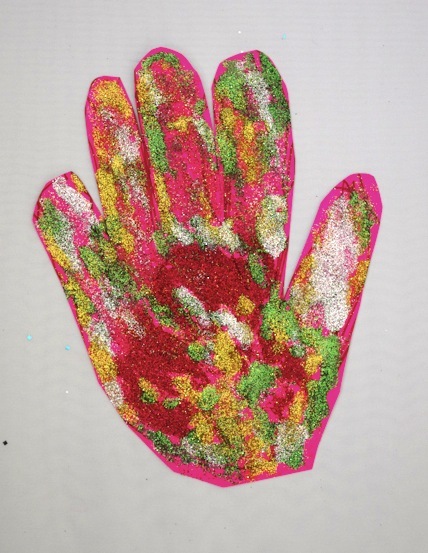 10) If you are working alone, or once your group exhibition has finished, post the hands to 8 Kildare Road London E16 4AD, UNITED KINGDOM. 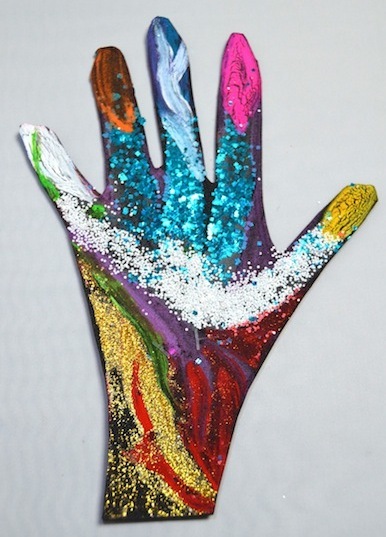 Your hands will then become part of the Together! 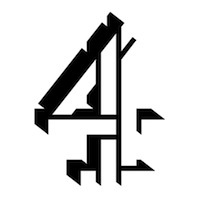 international touring installation. 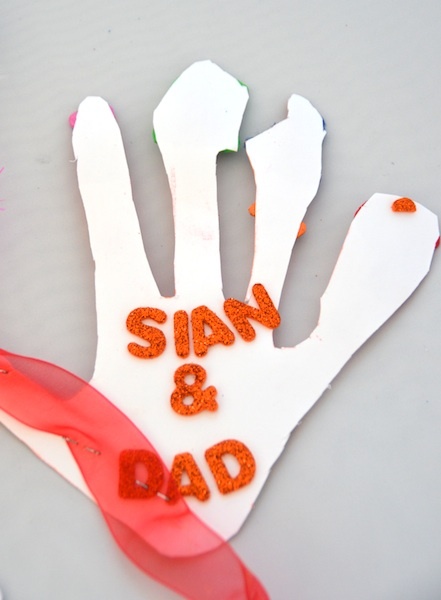 TIP: If the hands are already mounted onto ribbon, leave the ribbon on ready for exhibiting again. 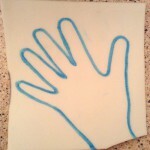 TIP: Wrap the hands in tissue paper or bubble wrap to protect them before posting.